Speed was the major concern in the opening years of the 20th century on land and sea. 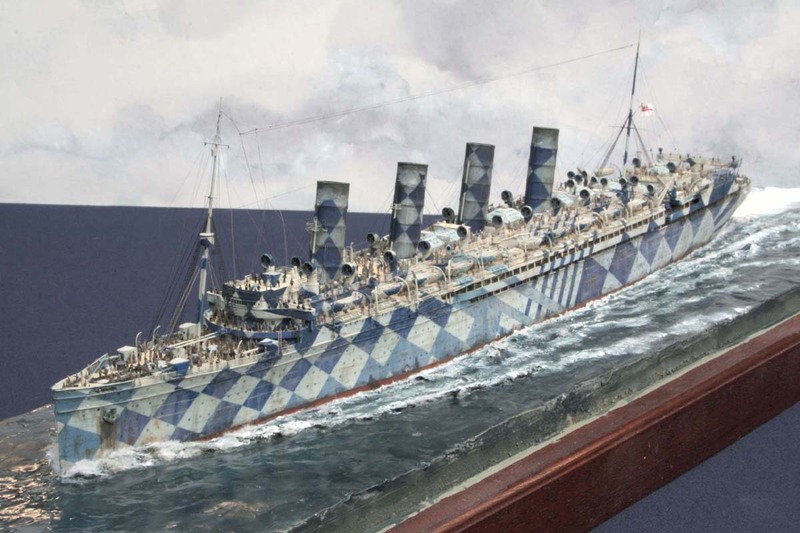 The steam ship was the only link between Europe and the United States and shipping companies, particularly British and German, vied with each other for the coveted Blue Riband. Established in 1838, the Riband was awarded to the "…ship which shall for the time being have crossed the Atlantic Ocean at the highest average speed.” In the last years of the 19th century, with the introduction of the NDL Kaiser Wilhelm der Grosse and Hapag’s Deutschland, the German shipping Companies possessed the Blue Riband and Great Britain felt a need to redress this situation for the sake of national pride. A Government subsidy was approved in 1902 to have the Cunard line develop and build two 25-knot turbine steamers that could serve in both peacetime and, if necessary, wartime. Originally conceived with three funnels, construction began on the pair in 1904 with both vessels being launched in 1906. 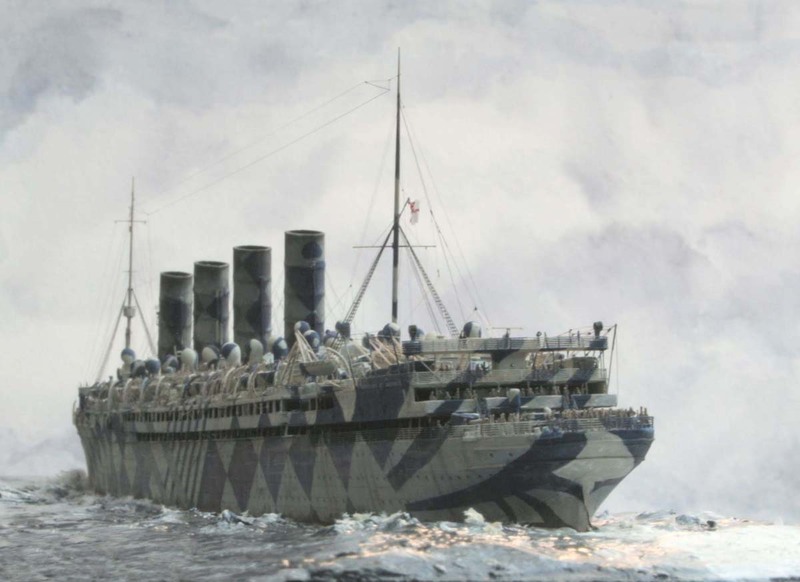 The splendid Lusitania, and her sister Mauretania, both entered service in the fall of 1907. 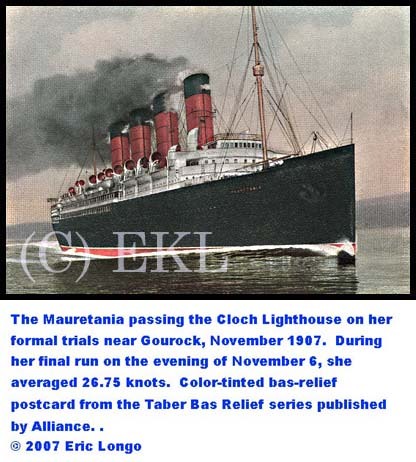 The Lusitania made her first crossing in early September with the Mauretania following in mid November. These two beautiful liners reclaimed the Blue Riband almost immediately, with the Mauretania holding the eastbound record from her maiden return voyage in November of 1907 until losing to the NDL Bremen in July of 1929; an unparalleled achievement. 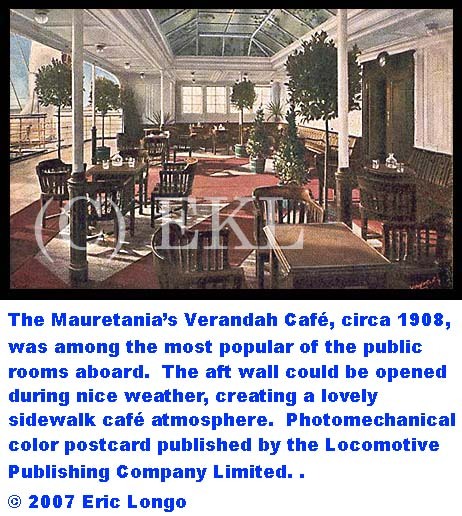 The Mauretania was indeed, as one First Class passenger wrote home in 1909 on a silk Stevengraph postcard (purchased in her Barber Shop), “…a floating palace”, with no expense spared in her construction and internal design, which had to meet Admiralty specifications in accordance with the terms of the subsidy. The interiors represented the highest quality designs, materials and skilled old-world craftsmanship that money could buy at a time when Britain was striving to regain supremacy in the North Atlantic. Tremendous quantities of old growth woods, including African mahogany, French walnut and Austrian straw oak were imported and lovingly worked into paneling and fittings in the First and Second Class public rooms. These decorations were of such beauty they would earn a fame of their own. 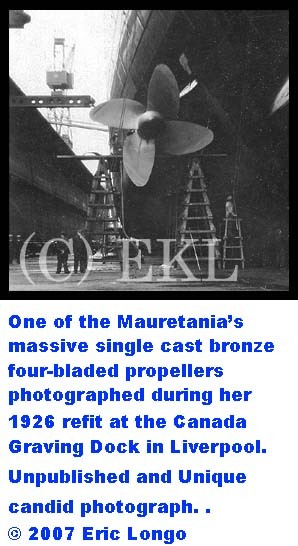 The Mauretania and her sister traded the Riband in these early years; both would receive new single cast four-bladed propellers of manganese bronze which resulted in still faster crossings. Within months of her re-entry into service with the new propellers in 1909 the Mauretania held both the East and West Riband; from September of 1909 she alone would hold both. In these first years the Mauretania encountered relatively little trouble, but during an overhaul in January of 1914 she suffered an explosion that took the lives of four men and injured six. 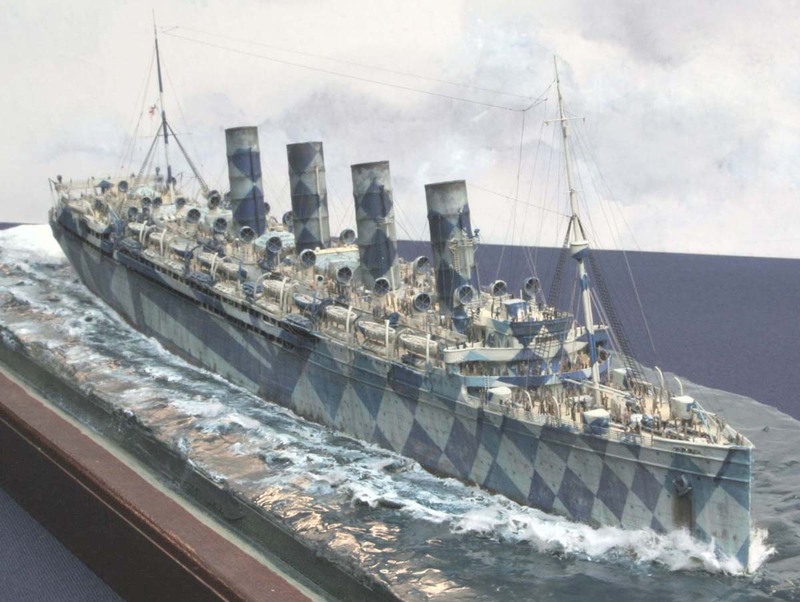 Although designed for possible use as an Armed Merchant cruiser (AMC) with reinforced 6-inch bow and stern gun platforms, her enormous appetite for coal, approximately 900 tons a day, rendered her costly to operate and difficult to refuel. At the outset of war in August of 1914, the Mauretania was diverted to Halifax; after very brief service she was returned to regular service until October when her furnishings were dismantled and she was laid up. 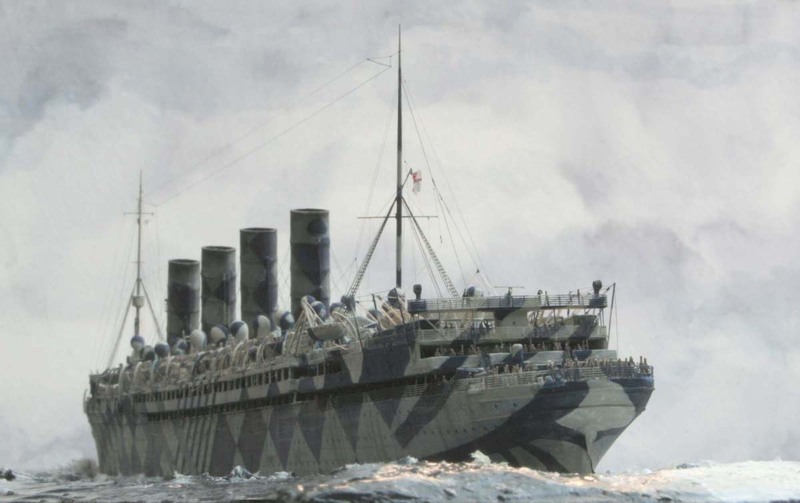 The next year, on May 7, 1915, the Lusitania was sunk off the Old Head of Kinsale with a single torpedo fired by U-20 resulting in a loss of 1,195 lives (including 123 Americans). 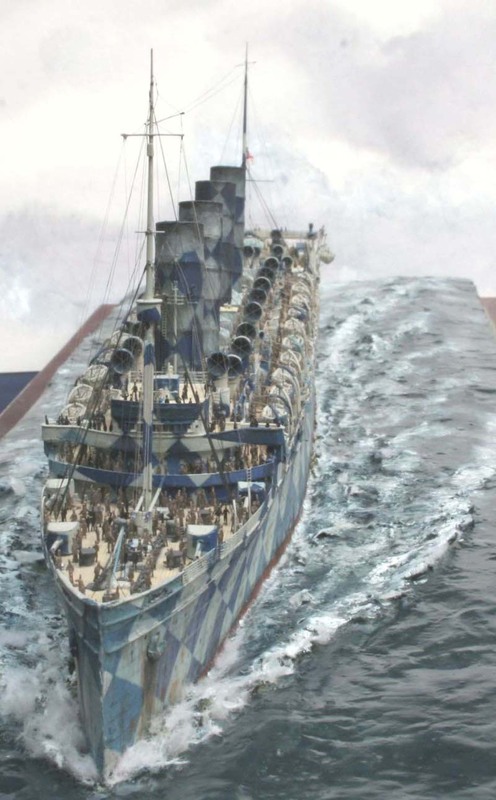 Although the sinking was said to have accelerated the United States involvement in the war, that country did not enter the war until two years later. 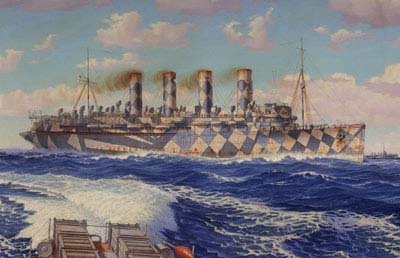 In May the Mauretania was converted to a transport with a subdued grey paint scheme to supply troops for the Dardanelles Campaign. 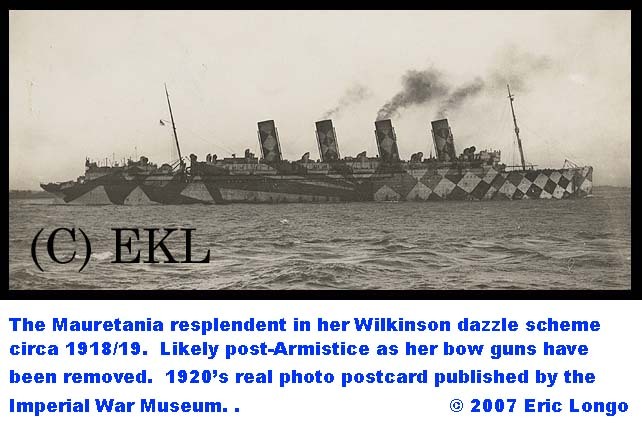 She made three trips in 1915, brining over 10,000 troops to the to Moudros Bay island of Lemnos, the Allied base for operations in the area. On one of these voyages, under the command of Captain Dow, the Mauretania was attacked by a German submarine. She evaded a torpedo by a margin said to be approximately five feet due to her high speed. 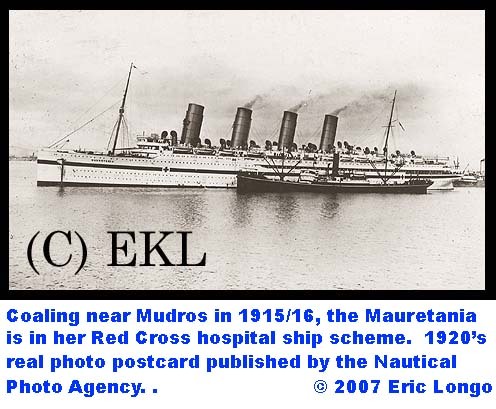 She was then laid up again until September when she was converted to an unarmed Red Cross hospital ship and made three additional trips to Moudros to assist with the evacuation of over 6,000 wounded from the Dardanelles Campaign. In January of 1916 the Mauretania was finally dismantled as a hospital ship and apparently temporarily released from service. During a gale on her way up the Clyde she broke her cables and lost her anchors, finally coming to rest safely on a sandbank. 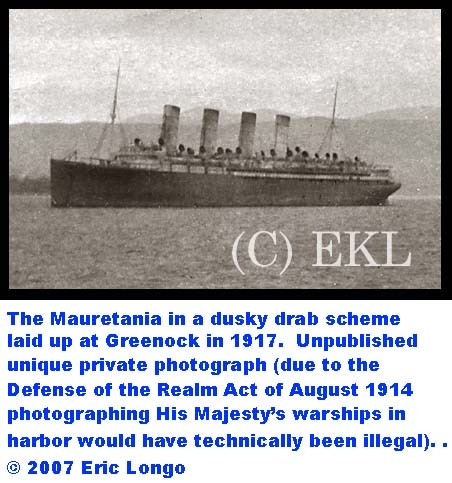 The Mauretania was put in the Gladstone Dock until her anchors were recovered and she was laid up at Greenock until September of 1916. 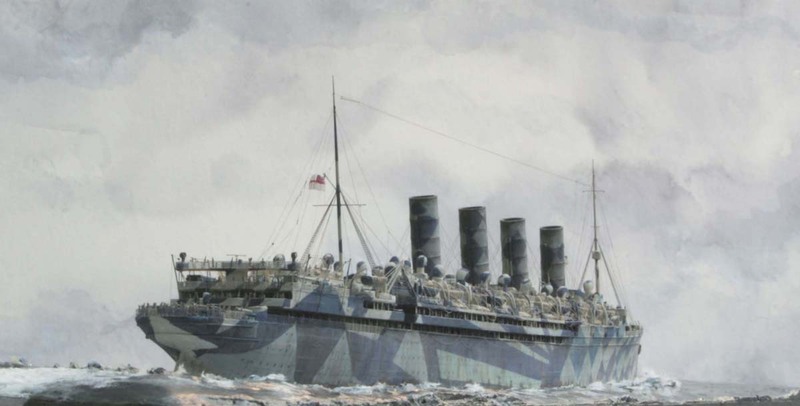 In September/October, the Mauretania was re-converted to a troop carrier, assigned the Admiralty number “G1620” and made two crossings from Liverpool to Halifax carrying over 6,000 Canadian troops bound for France. 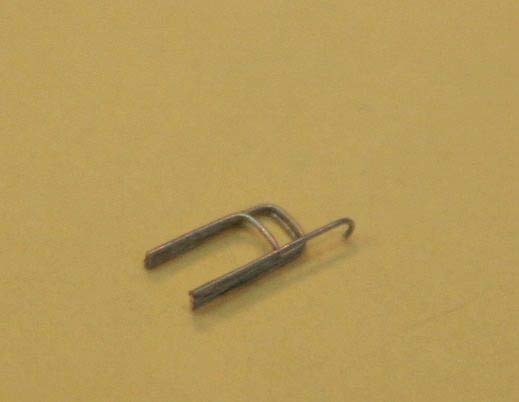 On one trip, two days out, she was found to be gaining a severe list. The Mauretania was taking on water from a coal port which had been improperly “dogged down” at Liverpool and was nearly lost. After returning from Halifax for the second time, she was laid up at Gare Loch on the Clyde until March, 1918 when she served again as an armed troopship. The Mauretania was renamed “H.M.S. Tuberose” and painted an elaborate blue dazzle scheme designed by Norman Wilkinson (who did paintings for public areas on Titanic). She made seven trips carrying over 33,000 American troops to the Western Front. 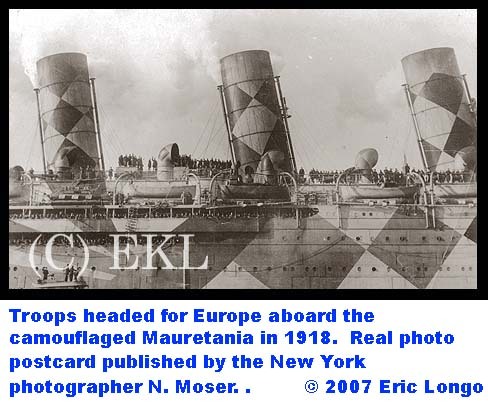 After the Armistice, the Mauretania was deployed for the re-patriation of American and Canadian troops, bringing nearly 20,000 soldiers home. 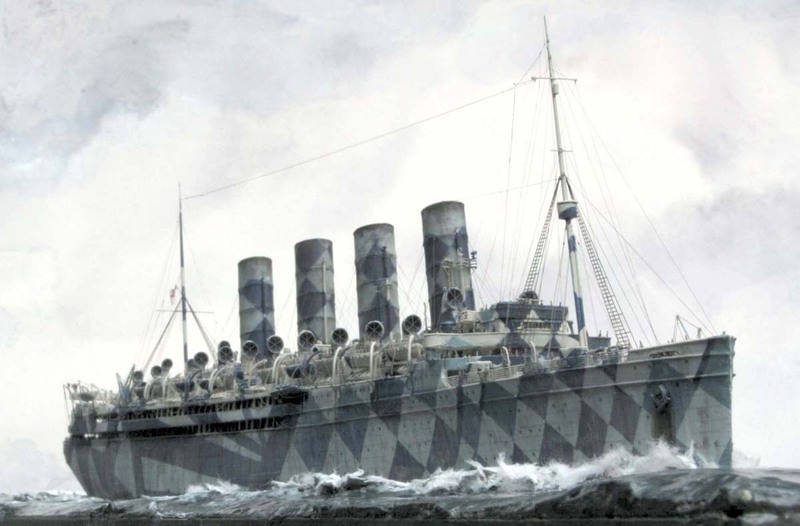 She made her final troop voyage in May of 1919, and returned to regular service in June. 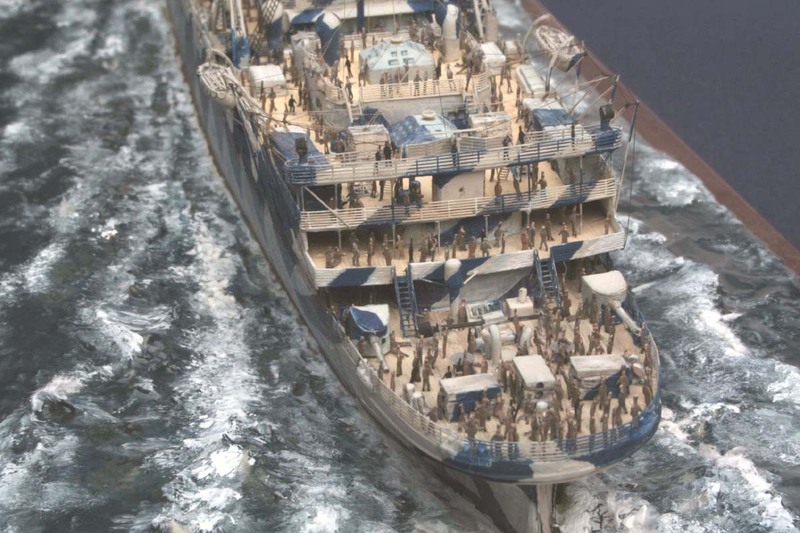 During her war service the Mauretania carried a total of nearly 78,000 soldiers and wounded, with additional medical staff. During this period of her service the remaining fine wood paneling and fixtures aboard were carefully protected with coverings of wood and cloth, and once removed, her splendor, if not her speed, was intact. 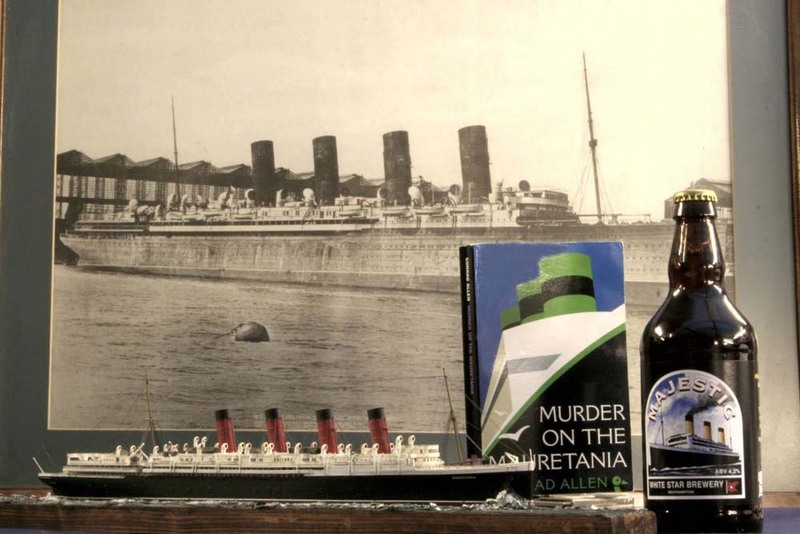 In 1921, following a large fire aboard at Southampton, the Mauretania was refitted extensively and converted to burn fuel oil. 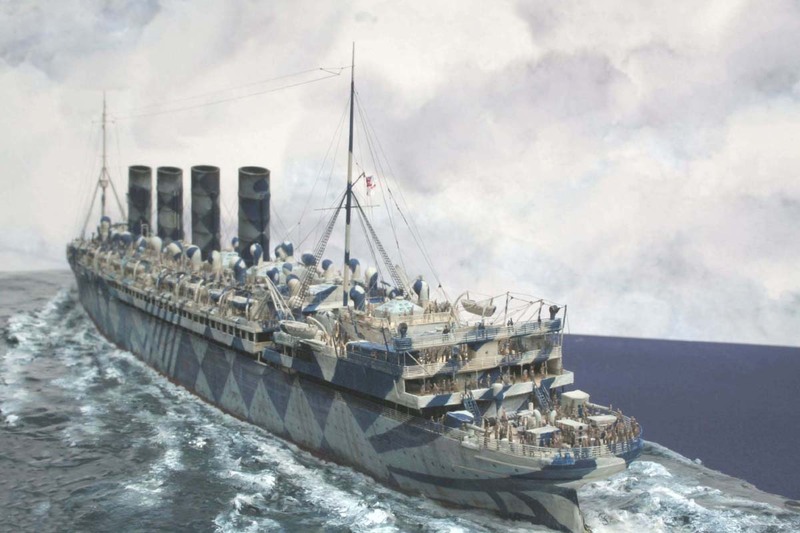 When she returned to service in 1923 she was chartered for her first cruise by American Express to the Mediterranean. During a November gale in the same year, while being towed across the Channel to Cherbourg by six Dutch tugs to complete an overhaul, she was again nearly lost. Upon her return to service she snapped a propeller shaft on the first day out. After subsequent repairs, the Mauretania returned to service in 1924, continuing her crossings, improving her speed and became one of the most beloved liners of the 1920’s. She had yet another elaborate refit for her return to service in 1927 which again increased the number of staterooms and she received extensive engine adjustments in November 1928 for the expected challenge brought by the new German Bremen (IV). These adjustments increased the Mauretania’s overall HP from 68,000 to a full 90,000 – nearly 32 more shaft revolutions per minute than originally designed. 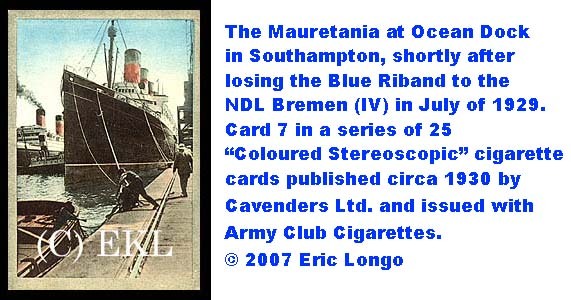 Despite these modifications she lost the Blue Riband to the Bremen by the smallest of margins in July of 1929. 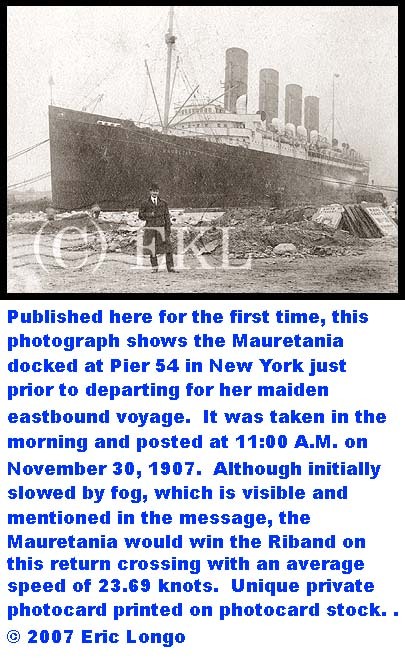 During an attempt to regain the Riband one last time on her August 16 crossing, the Mauretania, at 22 years of age, more than rose to the occasion and shattered all of her previous records. She had raced across the Atlantic at an average speed of 27.22 knots and on the last leg, between Eddystone and Cherbourg, she managed 29.7 knots. 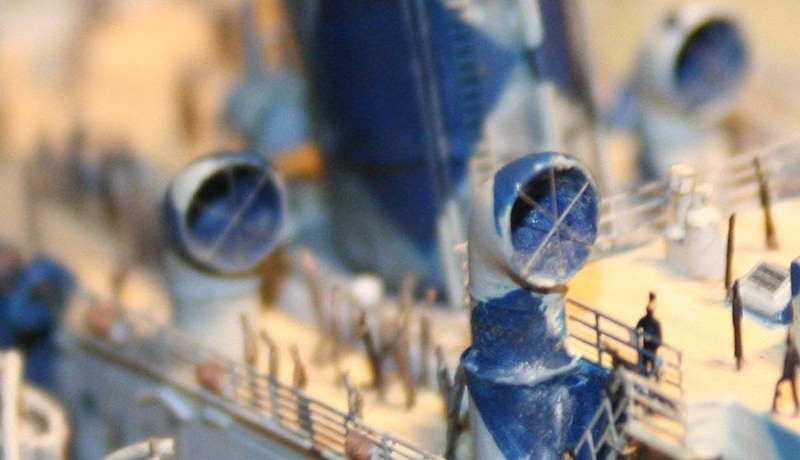 Further, on a cruise in July, 1933, and with a touch of help from the Gulf Stream, the Mauretania pulled an incredible 32 knots between the Carysfort Reef Lighthouse and Juniper Inlet Lighthouse. 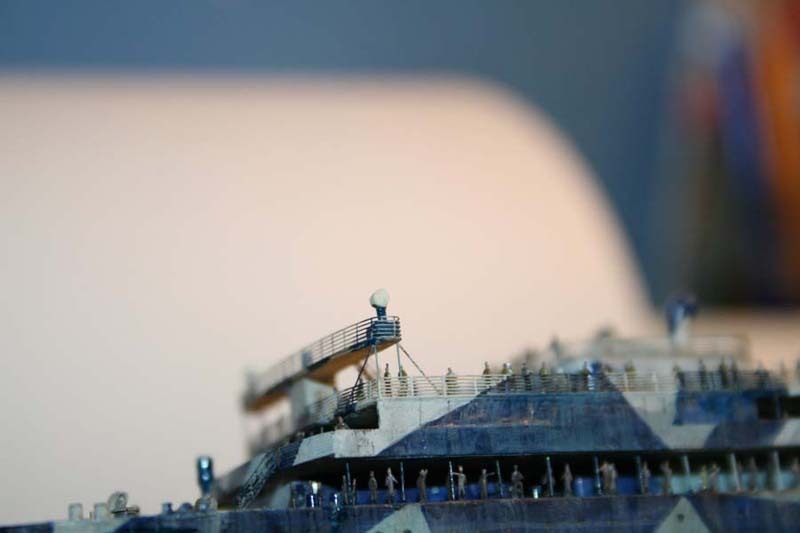 When the Great Depression hit in 1929, the volume of Atlantic passengers began to decline. 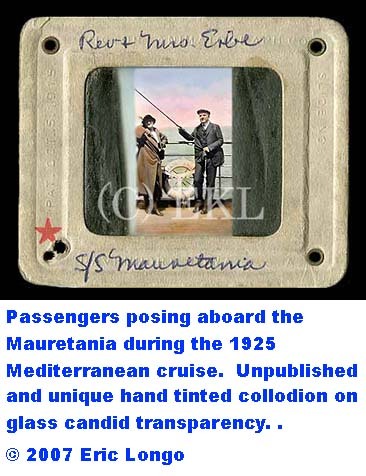 To offset this, the Mauretania began cruising regularly in 1930. 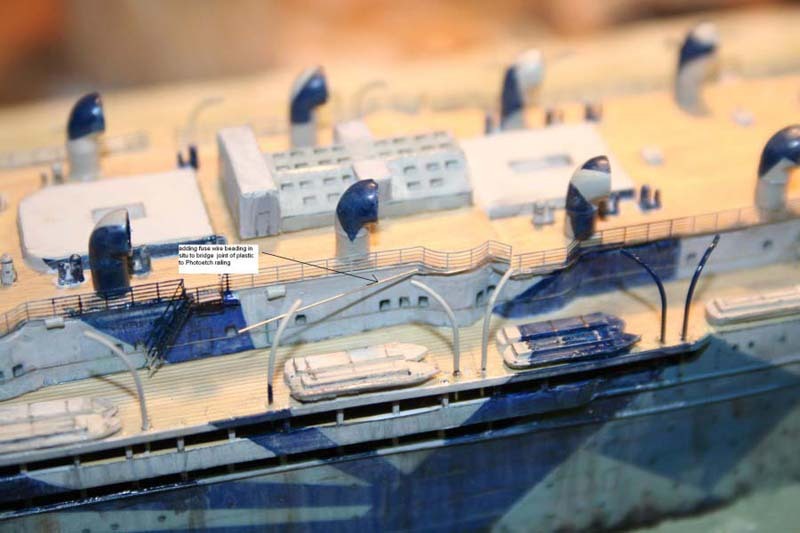 Saltwater swimming pools were added aft on a new “Sports Deck” along with other recreations. 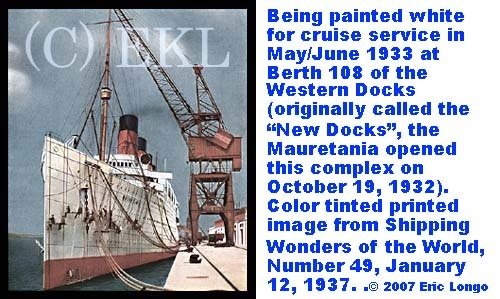 In May of 1933 she was painted white at the newly opened “New Docks” (The Western Docks) at Southampton and designated a cruise ship year-round thereafter. By 1934 the Depression was at its deepest with too many ships and not enough trade to sustain them. 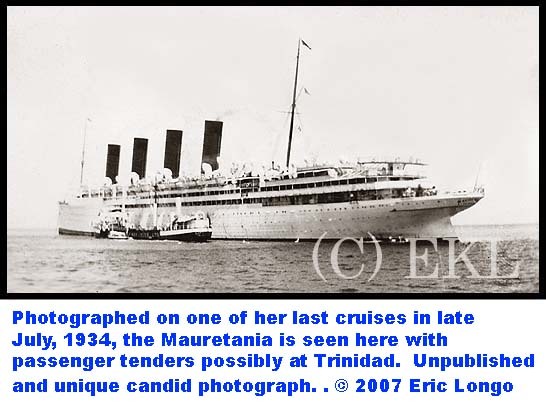 Mauretania was large, outdated and a very, very expensive ship to operate and maintain. However, it should be here noted that the Board of Trade found her to be in remarkable condition in 1931. 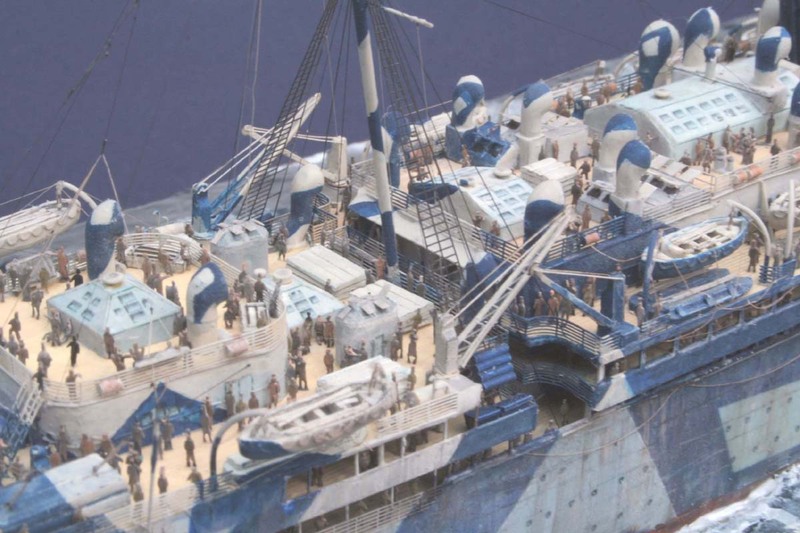 When she was scrapped it was noted by Metal Industries that “…the internal surfaces of the condenser tubes [were found] to be in exceptionally good, clean condition.” On September 26, 1934, after a grand parade and farewell in New York, she began her last Atlantic crossing to the sad farewells of thousands of well-wishers. Mauretania was eventually laid up to rust at Berth 108 of the Western Docks and was joined by the retired Olympic some six months later. 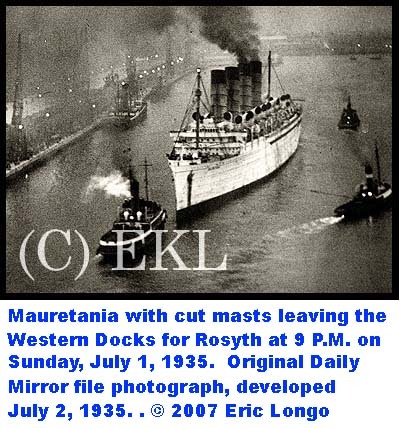 The Mauretania was sold to Metal Industries Ltd. in April of 1935 for £77,000 and sailed for the Naval Yard at Rosyth on the evening of July 1, 1935. 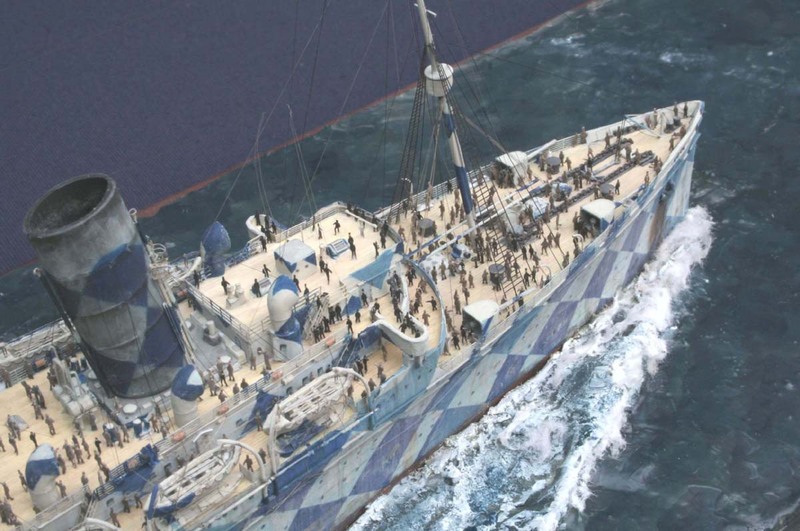 On this last voyage she flew, from masts cut down to allow passage under the Firth of Forth Railway Bridge, a 20-foot blue ribbon that read simply "1907- 1929". On the morning of July 3 the Mauretania stopped briefly at the mouth of the River Tyne where she was built nearly 30 years before. Thousands gathered along the coast to see her pass the place of her birth, rockets were fired from her bridge and a simple goodbye was radioed to the Mayor and Mayoress for all of Tyneside. 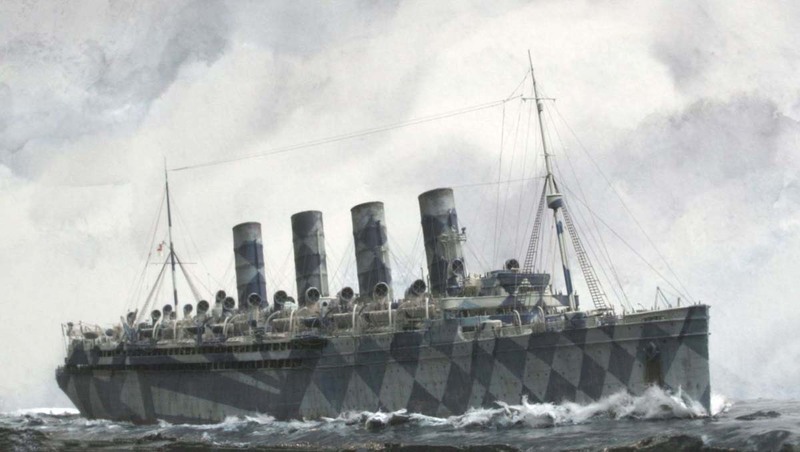 As she departed, those aboard “…could just hear the sounds of hundreds of voices singing Auld Lang Syne.” She continued onward at some 12.5 knots, reaching Rosyth and the Metal Industries yards just before sunrise on July 4th. In two months she would be almost unrecognizable; in nine months she would be a beached hulk in a tidal yard and in just over a year she would be only a memory. 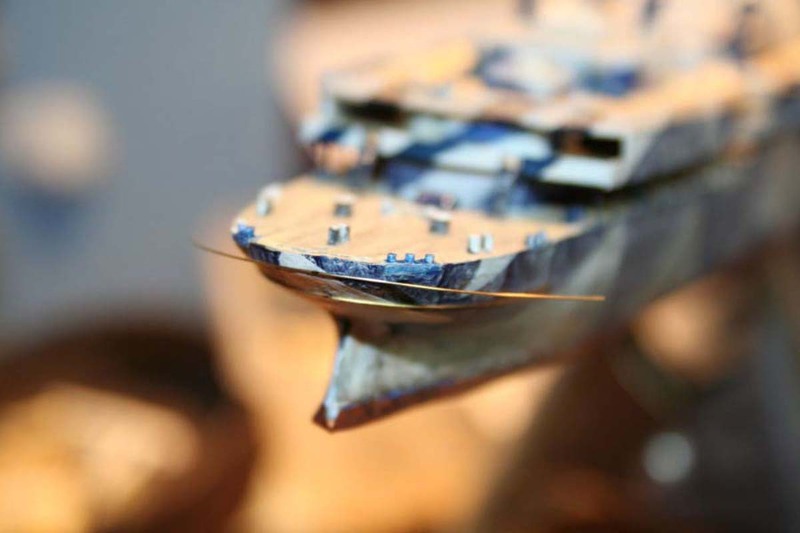 During her long life, the R.M.S. Mauretania had logged more than two million miles, completed 318 Atlantic crossings, 54 cruises and contributed vital wartime service. She was fondly remembered for this; her furnishings and fittings were sold in May, 1935, at two public auctions held aboard. Much of these interiors survive and can be seen in pubs and other establishments across England. Bristol wine merchant Ronald Avery purchased and installed large amounts of woodwork and other fittings from her Lounge and Library in the original Avery Building (now the Bar Three). The First Class Louis Seize Lounge and Louis Seize Library were designed and decorated by Messrs. Ch. Mellier & Co. of London; the richly polished, deeply carved and gilded mahogany panels, columns, moldings and beveled glass-paned doors still evoke memories of the elegant rooms they once graced. Many small souvenirs were produced from her wood and metal to commemorate her passing, and are sought-after collectibles today. As one of the first, and the fastest, of the great four-funneled liners, the Mauretania will always be remembered for her speed, accomplishments and beauty. Incredibly, despite her increasing age and 20 years of technological advances in shipbuilding, the Mauretania lost the Riband to the Bremen by an average margin of less than .61 knots for the crossing which equated to less than one hour. 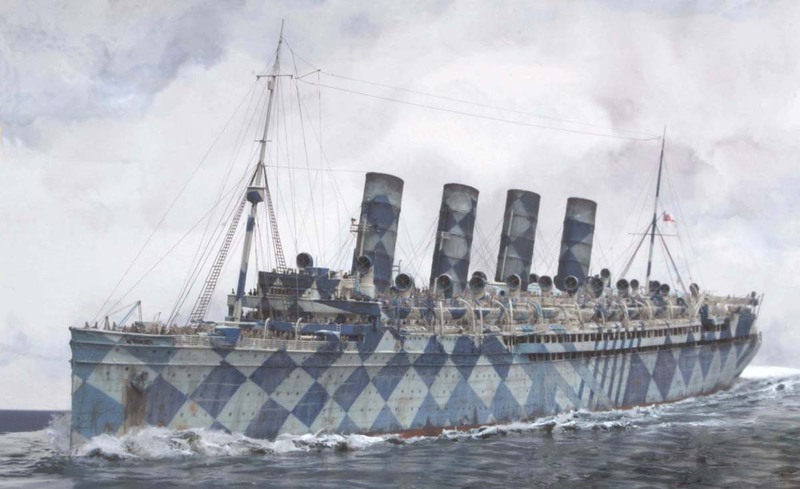 Dazzle painted ships have always held a fascination for me, in particular the idea of not actually camouflaging for the purpose of hiding the ship, but to change its apparent shape. 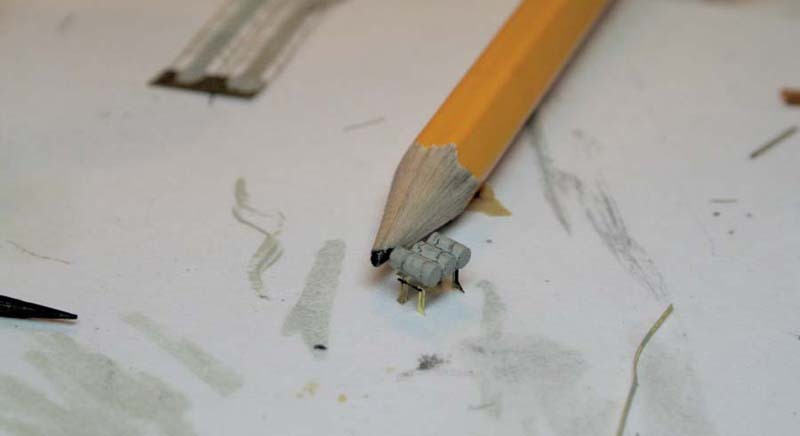 This model project came about as a result of an impulse (!) 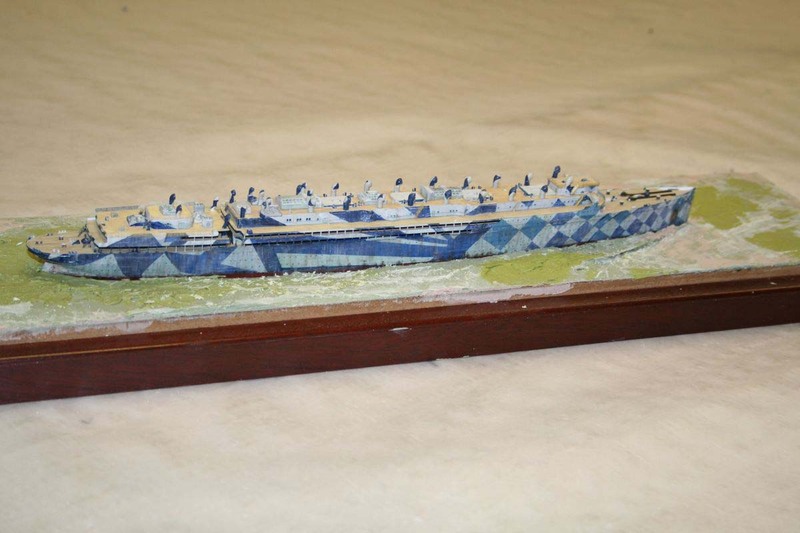 buy of the 1/400 JSC card kit of RMS Mauretania - which among other versions contains parts for the WWI dazzle-painted troop carrier guise of this famous ship. Comparison with available photos showed the designer had the proportions just about spot on… and I started hatching a plan! 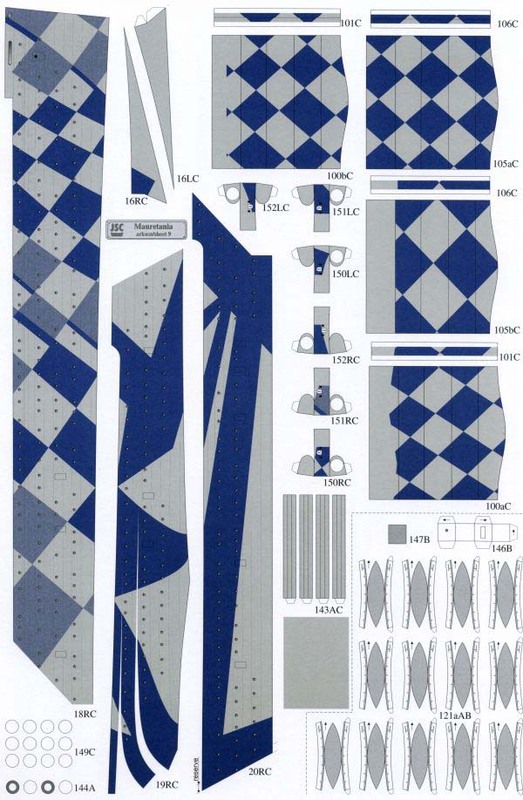 Not having the space for model in 1/400 scale - or indeed the inclination to build a complex card model – an unfamiliar media to me - I felt it must be possible to utilise their superb design work of the camouflage scheme in a ‘solid’ model format. Inspired by the famous painting hanging in the Liverpool Maritime museum by Burnell-Poole I set to work! 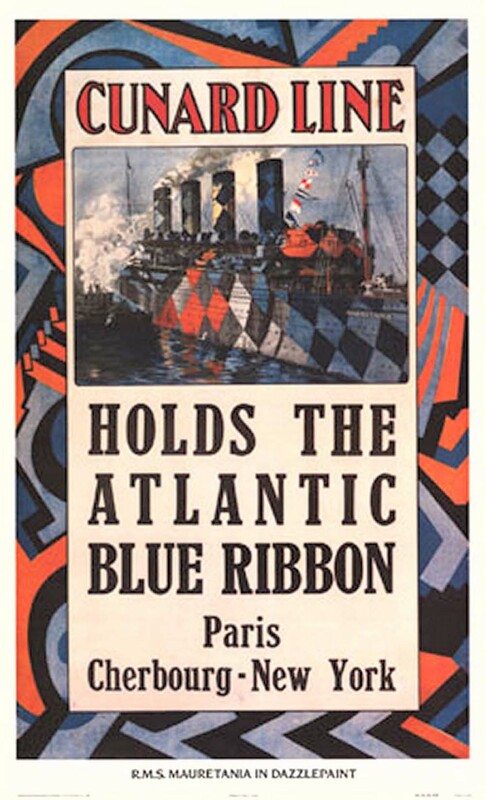 Interestingly the famous Cunard poster shows colours-whilst attractive—were certainly unrealistsic. The admiralty sketch showed the true colours. After some experimental printing and re-colouring I was able to print crisp and usable decals of the camo-scheme onto white decal sheet. 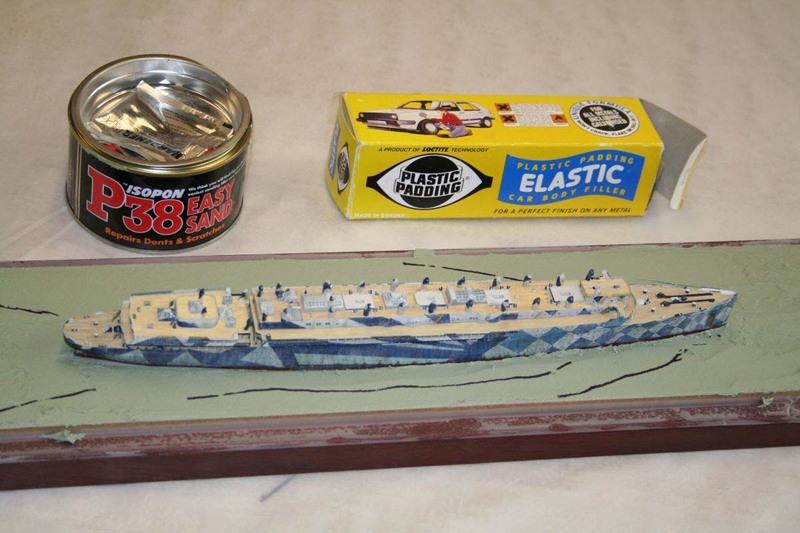 Prior to the application of these very large decals to the Airfix hull I removed all raised moulded detail and sanded everything smooth. After extensive study of photos I felt that the stern bulge above the rudder was too full and the bow was not sufficiently akin to a knife’s edge. 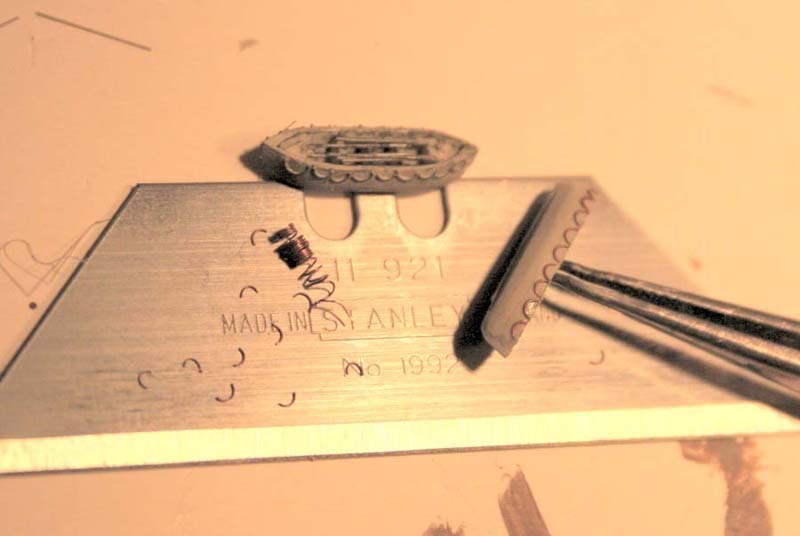 To permit safe shape changes without penetrating the thin plastic skin, I applied autobody filler to the insides before extensive carving and sanding. 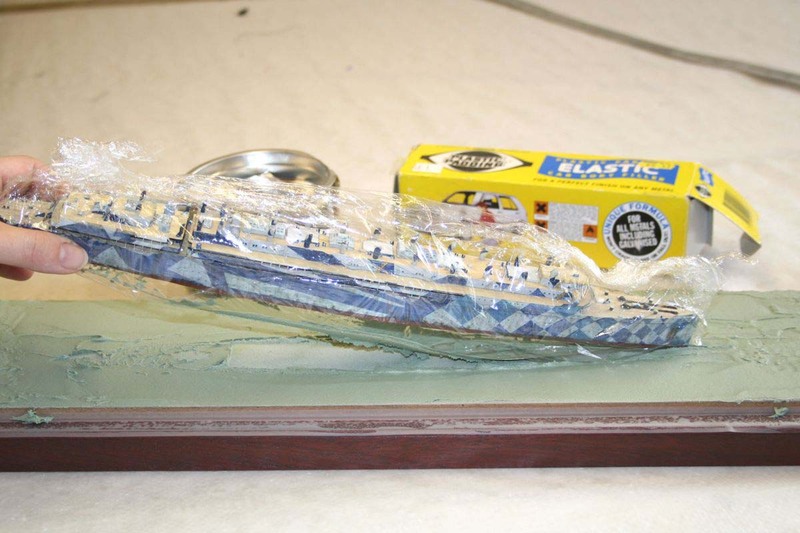 After this rough handling was over, I added some internal braces in plastic as well as the lower promenade deck. 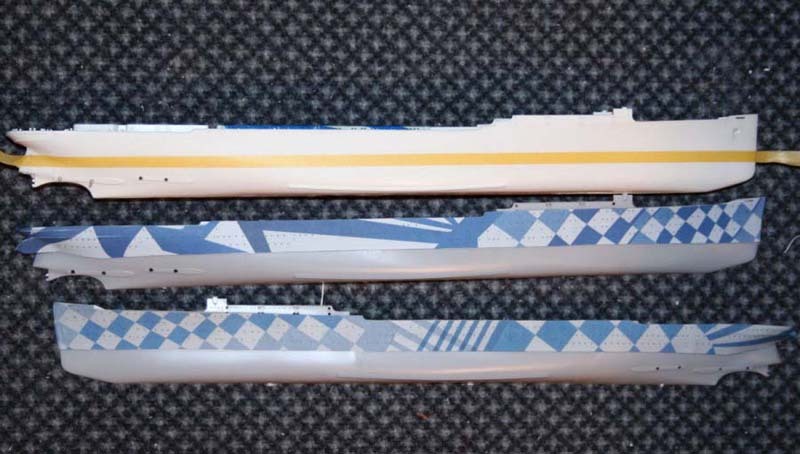 After a brief testfit of the paper printouts on a spare hull, I removed the lower hull using a dremel-type circular saw blade…. 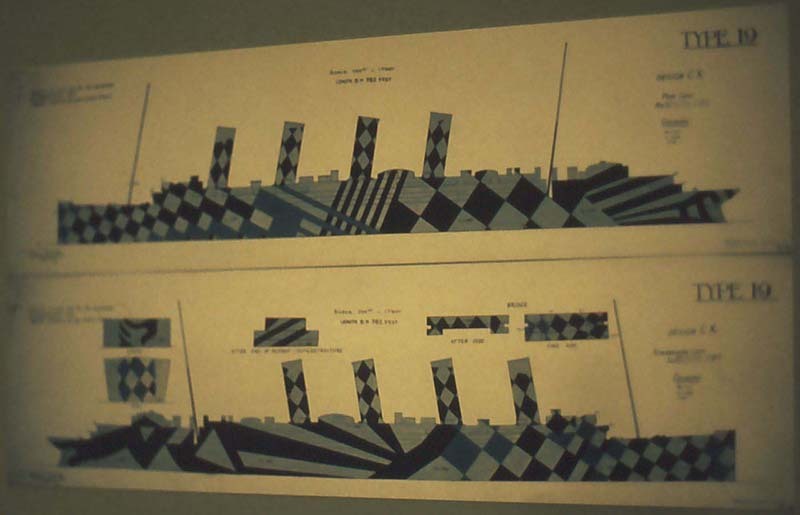 Due to the 1964 vintage of the kit, there were a number of dimensional conundrums to be gotten around - the main problem being the excessive thickness of the various decks and the consequent lack of height of the internal bulkheads - not ordinarily a problem when finished in peacetime livery - however it would pose serious continuity issues with the dazzle pattern. 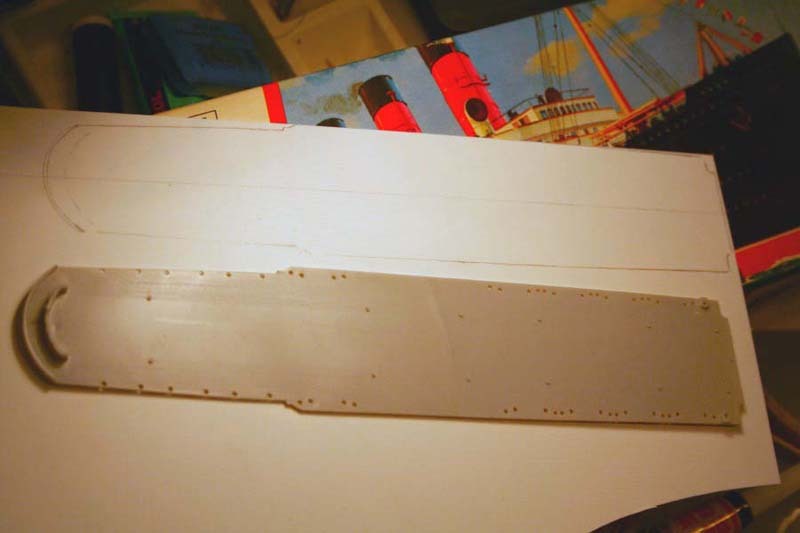 I therefore elected to replace the boat deck with a new scratchbuilt deck of Evergreen sheet. 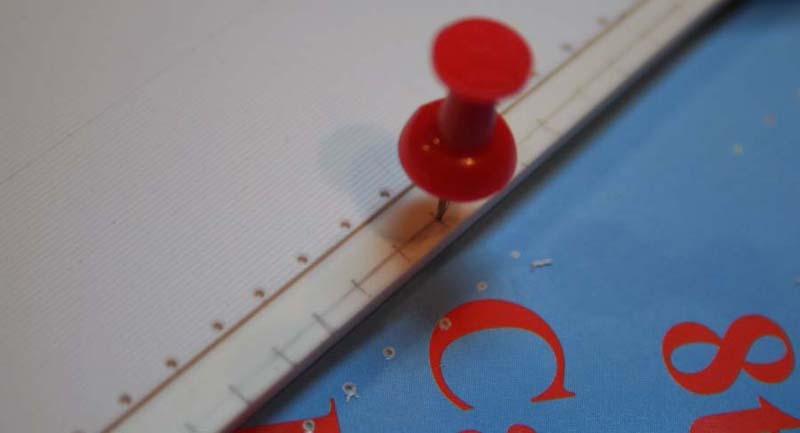 With the assistance of a digital calliper I was able to gauge the correct amount of material to insert. 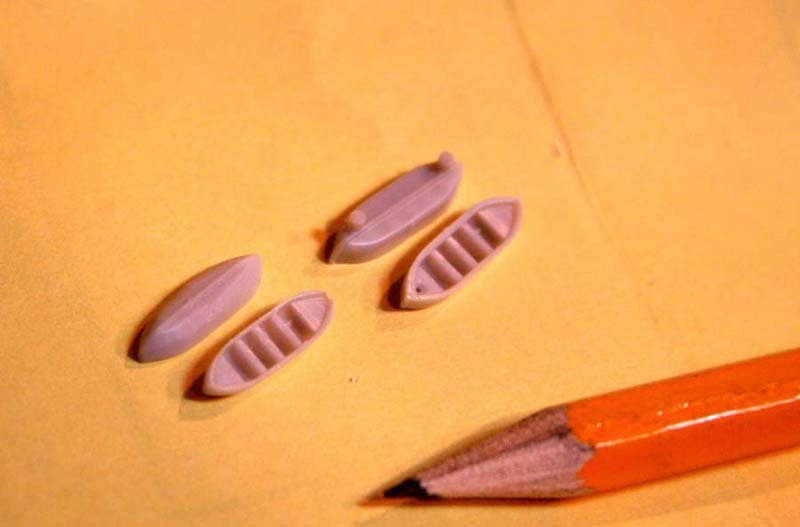 I did this by gluing appropriate thickness styrene sheet onto the existing kit items - horizontally - and then carved to the moulded shape of the underlying kit deck. 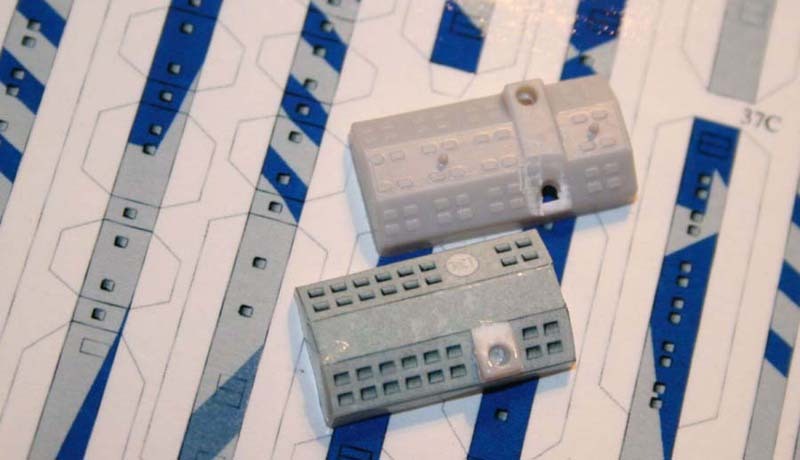 The lower promenade deck kit part had all edges thinned from the underside (where later visible); all the vertical plastic bulkheads were thinned to disguise the clunkiness of its plastic origins. 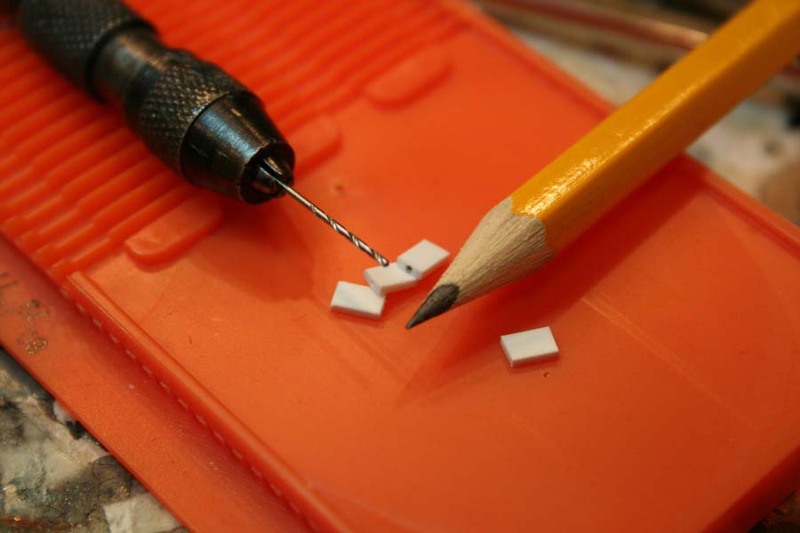 These were then marked and drilled concentrically for all the vertical interdeck stanchions which were made of styrene strip. 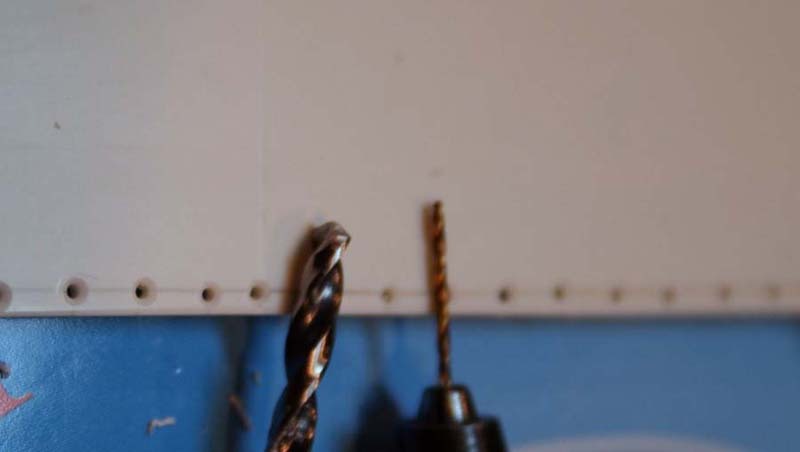 I used a pushpin to make a drill guide alongside some masking tape, then drilled through using pin-vice followed by a countersinking with a 2.5mm drill bit spun between fingers. 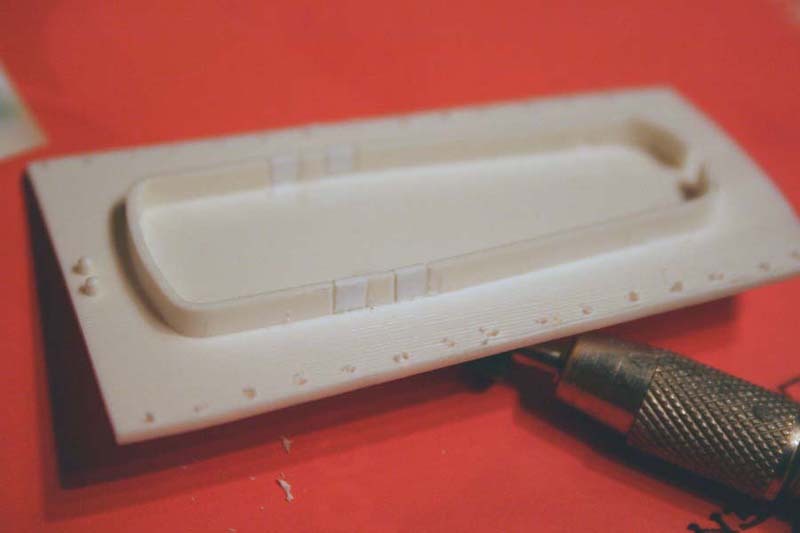 This de-burred the holes in the plastic part, but also gave a glue ‘reservoir’ - thereby reducing the adhesive build-up a the contact points. 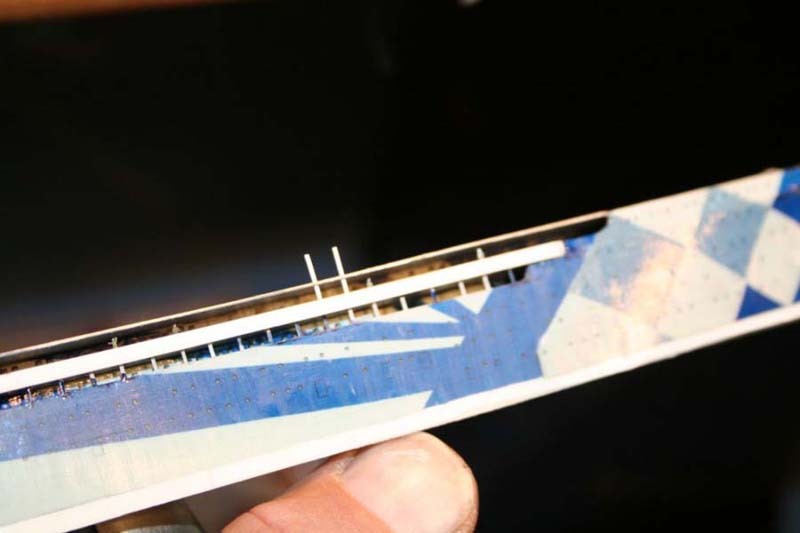 Open doorways were filled-in with styrene sheet to give a smooth surface for the decal application. 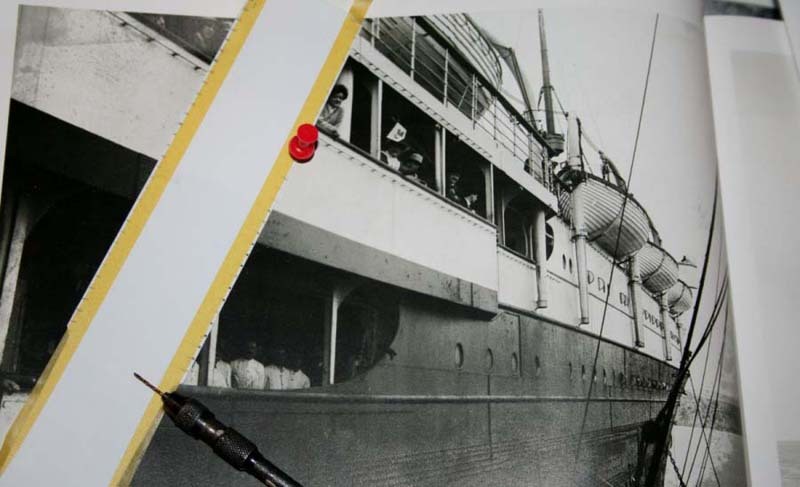 The interdeck stanchions were not continuous vertically - the upper promenade deck overhung the lower promenade deck (unlike the Lusitania). 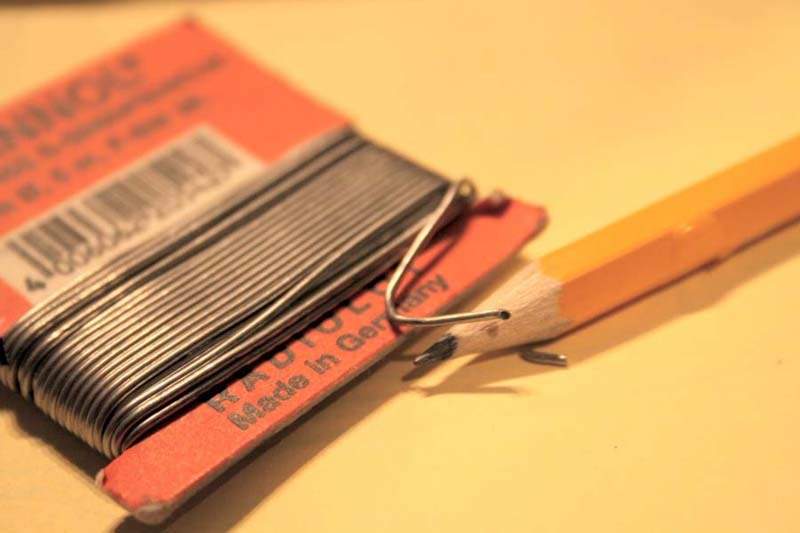 The installation and fine-tuning of these was very time consuming. I took the opportunity to install a few figures inset back from the openings—many more were applied later into the apertures. 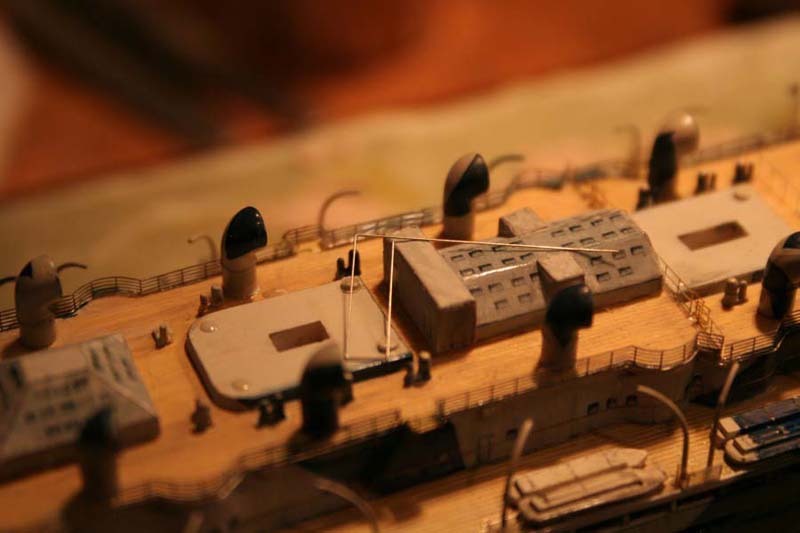 The prominent ‘rub rails’ along the hull were applied using brass wire. The same process was repeated at the stern for the stern rails. The aft deck part originally featured the bollards and rollers moulded on - alas these were inset a long way from the deck edge - so were removed and the deck re-scored with simulated planking detail and new items fabricated of styrene rod and paper for the mounting plates. 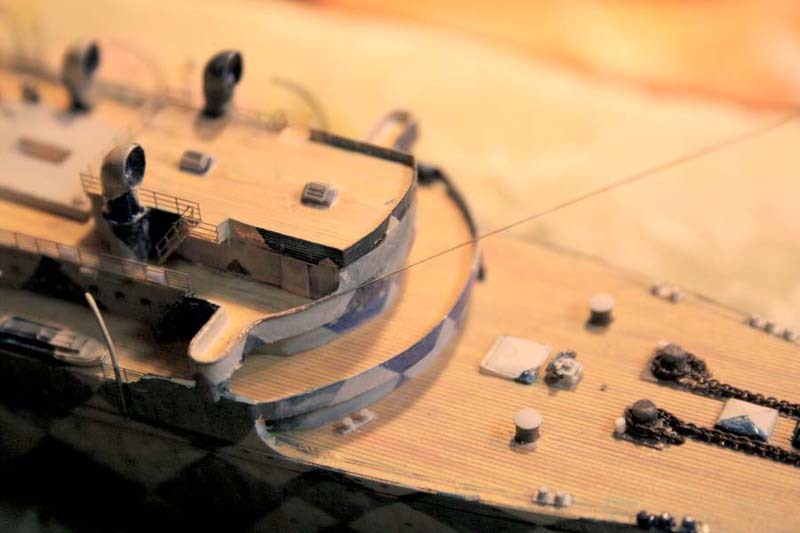 The foredeck was replaced entirely and received scratchbuilt winches as well as capstans and deck hardware details. Thereafter I started the arduous process of hand painting all the ‘gaps’ and edges in the camouflage scheme left by the decals…mixing the correct shades to match the already applied decals was a project in itself! 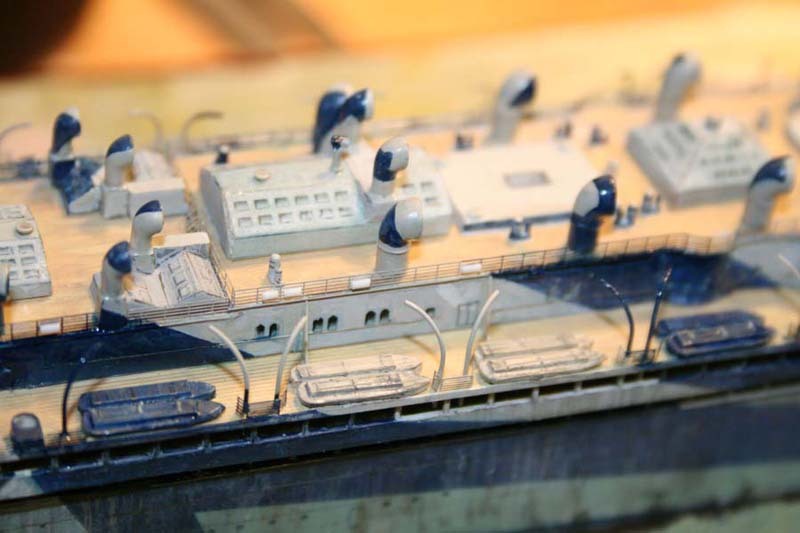 The Airfix kit was somewhat light on deck detailing, especially around the funnel bases and deckhouses. 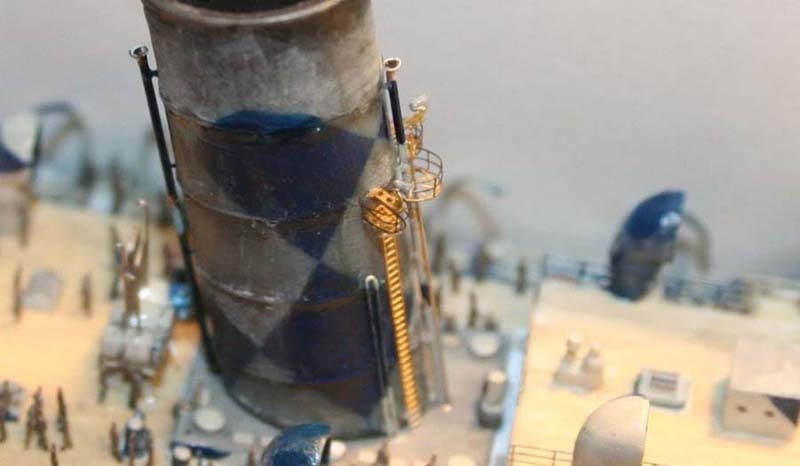 The small vents around the funnel bases were made from tiny squares of brass from etched PE stairways. I was ably assisted by some detailed sketches kindly supplied by John Haynes - along with various snippets of detail photos from a variety of sources. 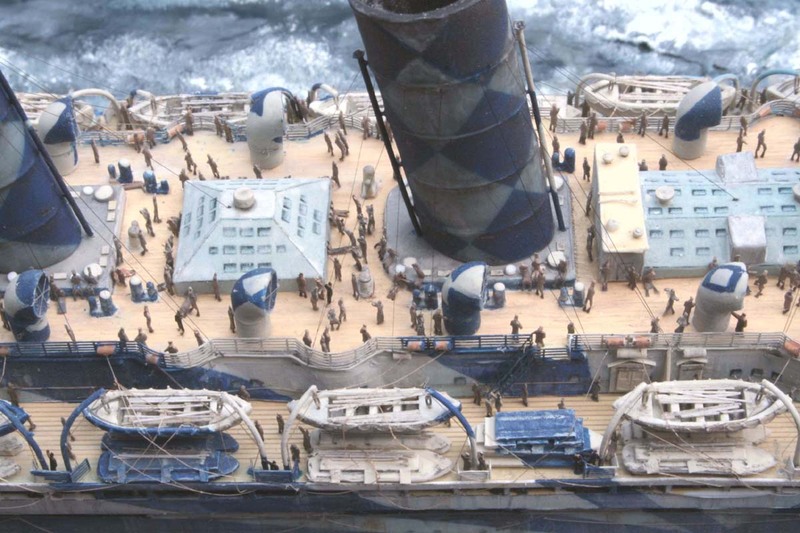 Mauretania had very large and prominent cowl vents lining her upper deck. 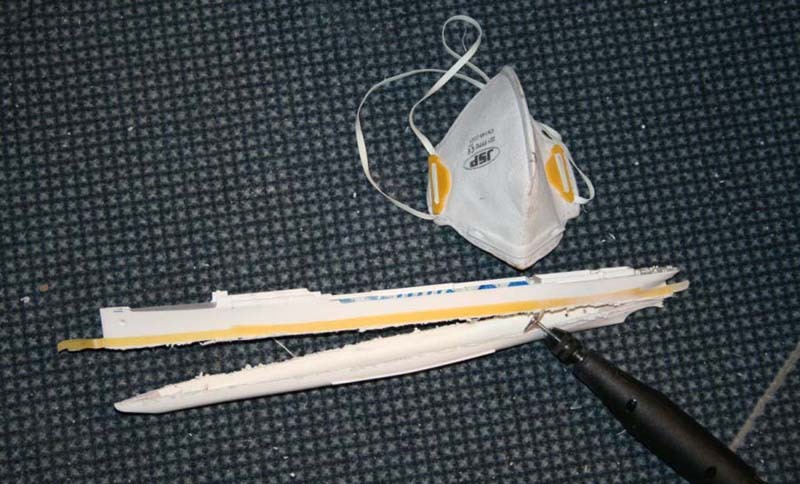 The kit supplied items were a pretty good shape but suffered from either having far too thick edges or being solid on the face with no opening at all!!! This of course would not do! They were all drilled out and edges thinned with a tapered burr tool. 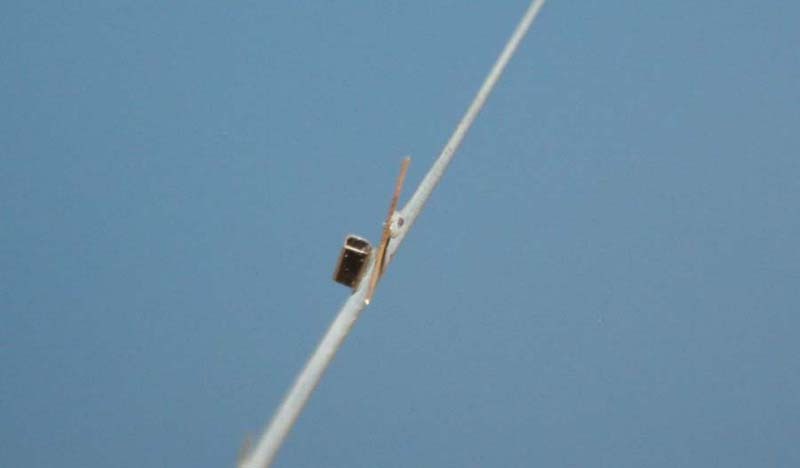 The joint between the fixed and rotating parts of the cylinder was represented using stretched sprue wrapped around all the shafts. 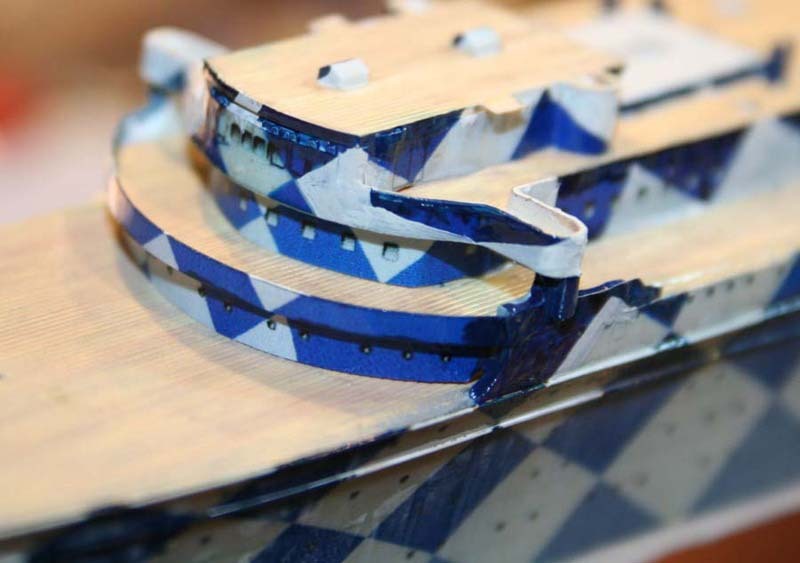 The deckhouses on the uppermost deck were made mainly using the re-sized card parts in conjunction with some plastic parts - this achieved the desired hardness of the edges I desired. 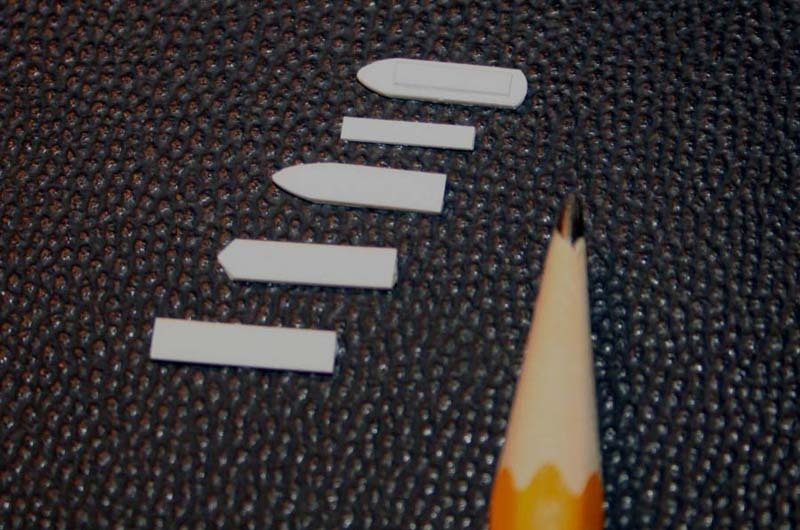 Some of the bulwarks were made using the re-sized decal parts as card solid parts. This gave commendably fine bulwarks. The rather plain skylights had their window gratings made of cut down PE stairs. 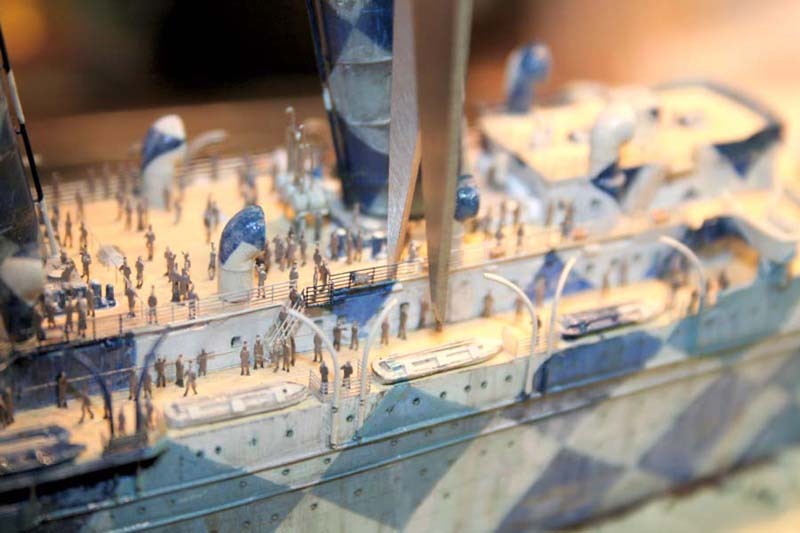 Like many ships of her era, Mauretania had large amounts of external interdeck stairways - these were made using the etched parts from White Ensign Models. 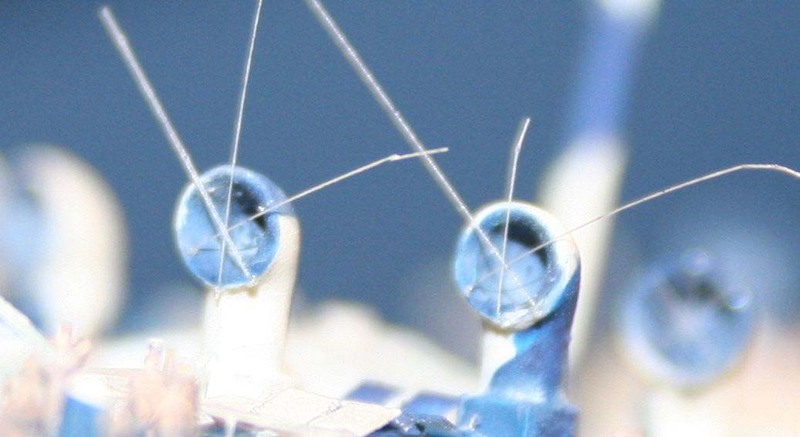 The deck edge had a very prominent beading around its outer edge, this and the beading around the roof of the radio shack were made of fine fuse wire as well as the beading around the bridge front. 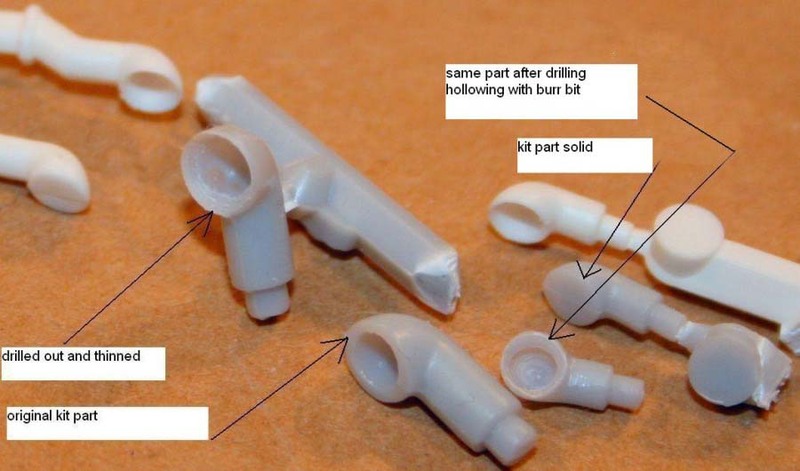 The funnels - I made these twice; once after cutting away the moulded flange ’rings’ - with the intention to re-apply them as separate items but subsequent inspection left me feeling unsatisfied - so I made a second set with the rings left intact, but thinned down somewhat with a blade. 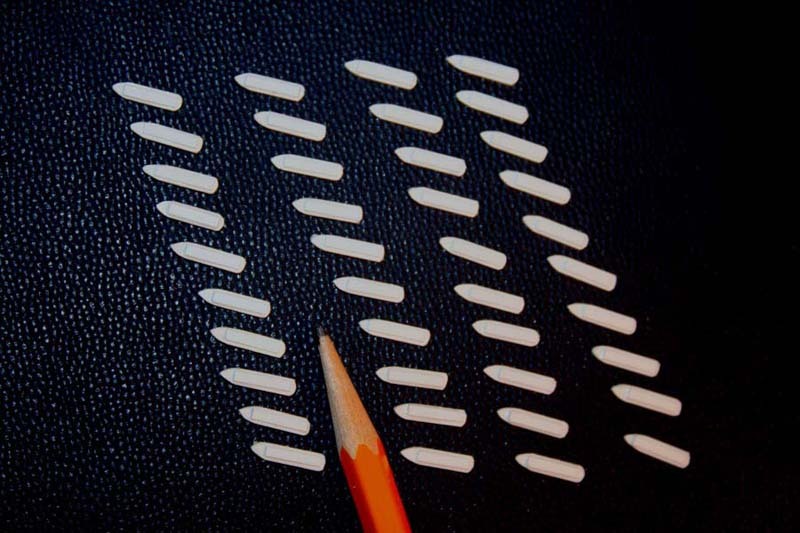 The decals were encouraged to ‘grow’ around the funnel circumference by about 0.5mm using Microsol. 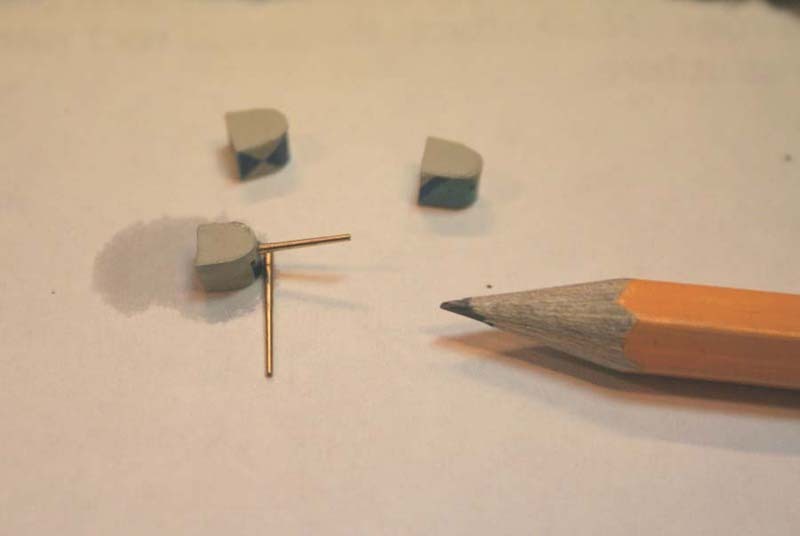 These were pierced prior to installation with the indents to facilitate the funnel rigging later on. 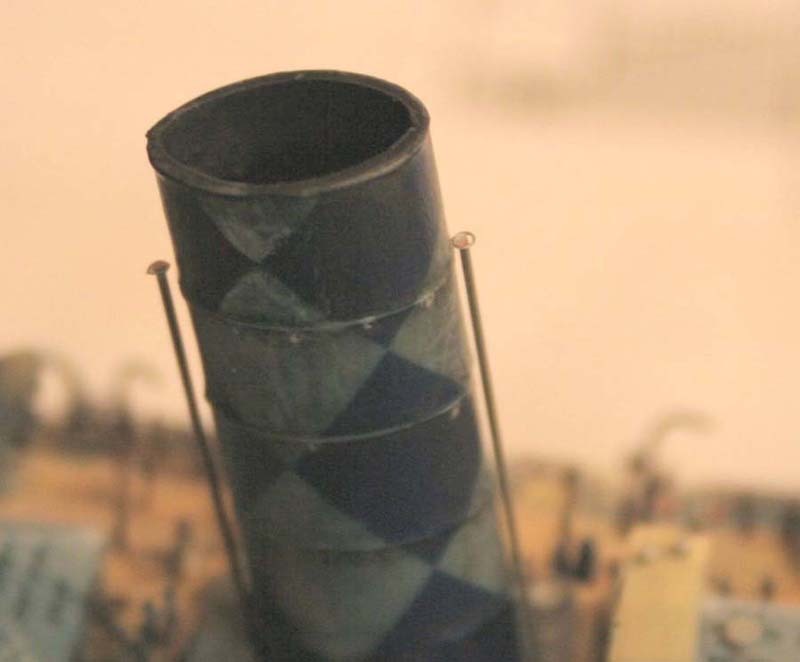 At a later stage the steam pipes fore and aft were installed - the flared trumpet-shaped openings were made using a tiny wire circle backfilled with white glue. 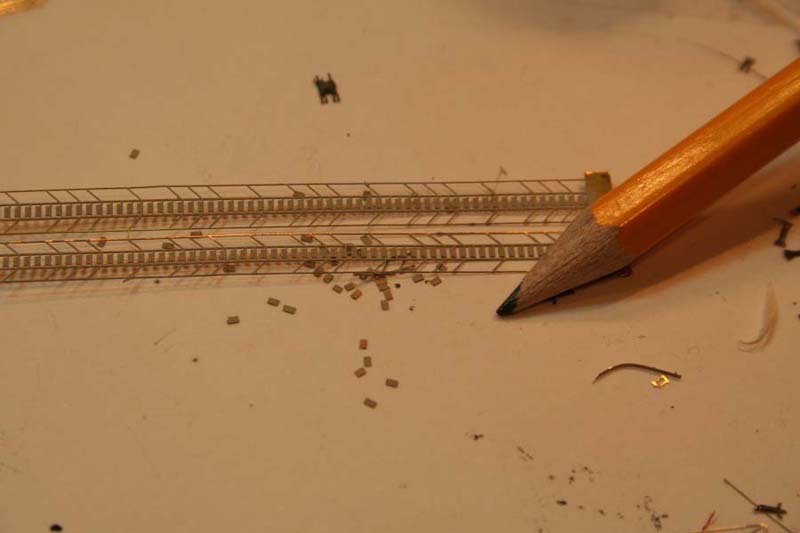 The funnel siren and whistle platforms were made of a variety of tiny PE parts from the scrap-box to best simulate the gratings. 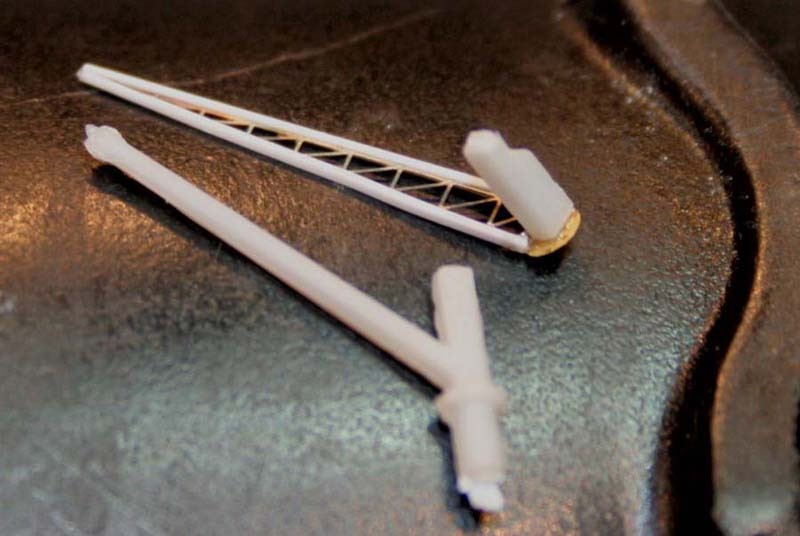 Whilst the vents were made of styrene rod, brass snippets, as well as tiny domed rivets. 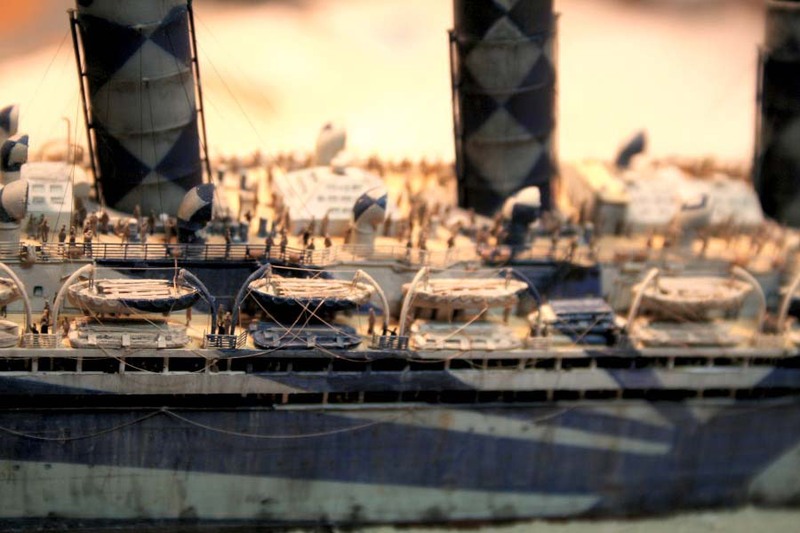 After the Titanic disaster in 1912, Mauretania was equipped with additional boats and in the guise of a troop carrier she was furnished with large amounts of collapsible boats. The davits had to be re-made 44 (!) 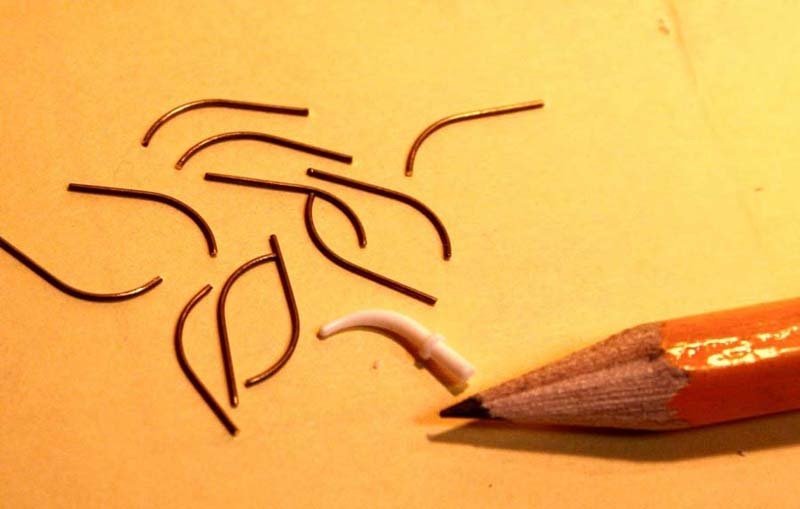 times - the existing plastic versions – whilst commendably tapered - were grossly overscale and lacking in height. 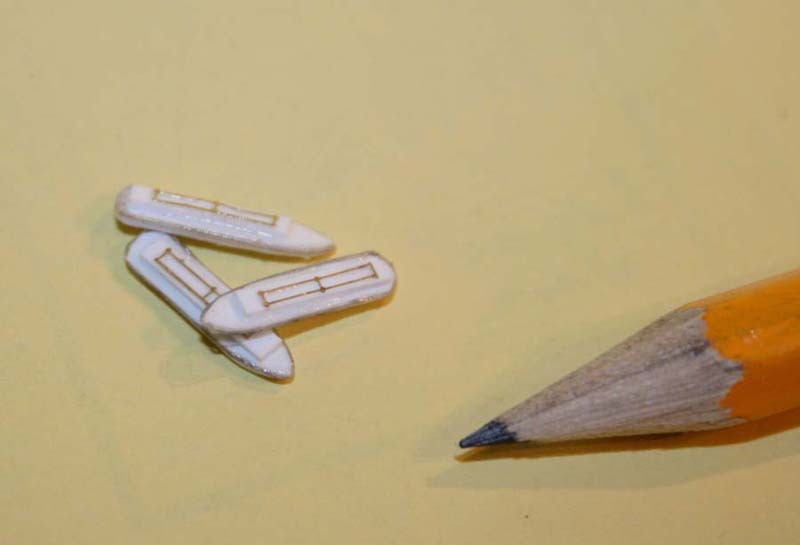 A small wooden jig was made to ensure repeatability of shape. 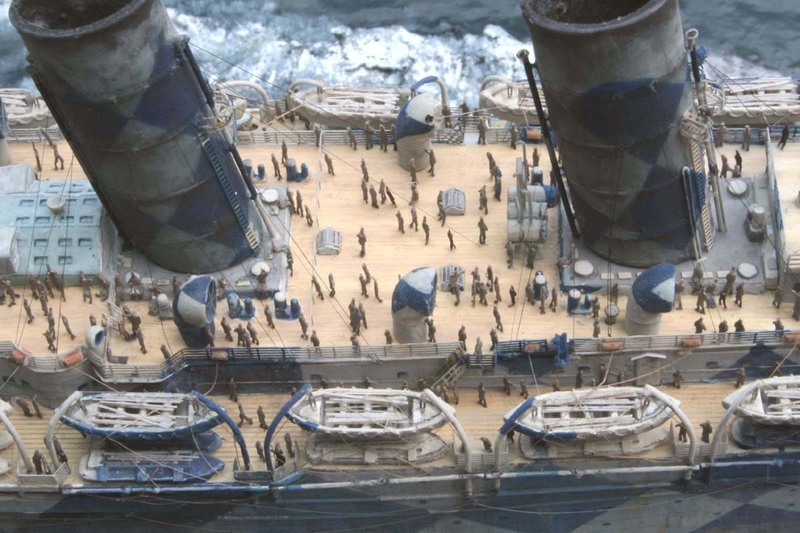 As a troop ship, Mauretania was fitted with a large amount of rope reels fitted to the rails above the boat deck. 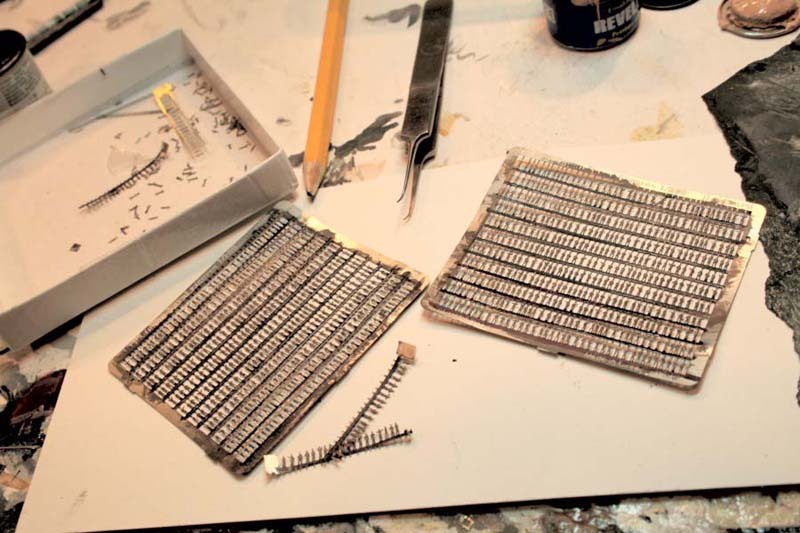 These were made by using styrene rod split in half and rejoined either side of the railing to simulate the reels. The bridge roof had a rangefinder for the 6 in guns added, binnacle, semaphore mast as well as a shack (purpose as yet unidentified), new window frames and the fwd raised rail with (white glue) canvas dodgers installed. 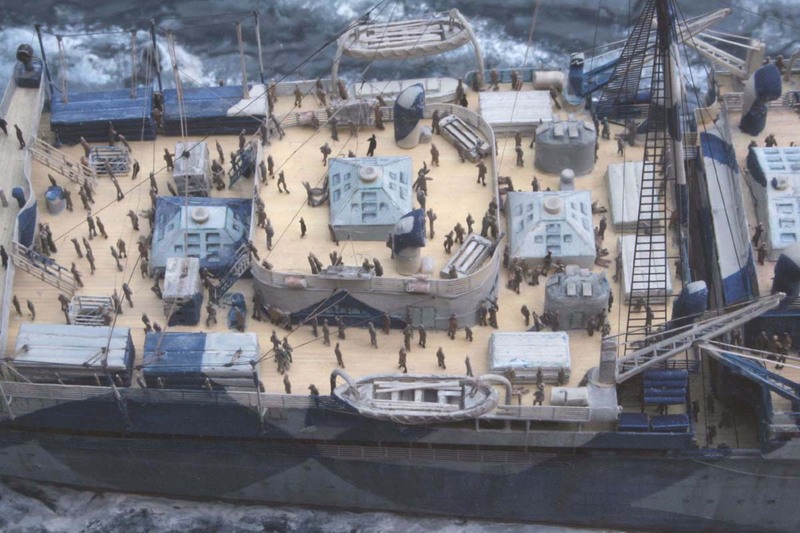 The ship was mounted to its base at an early stage - after weathering the hull and applying the antifouling-made of black vynil tape paintd dark dirty red. 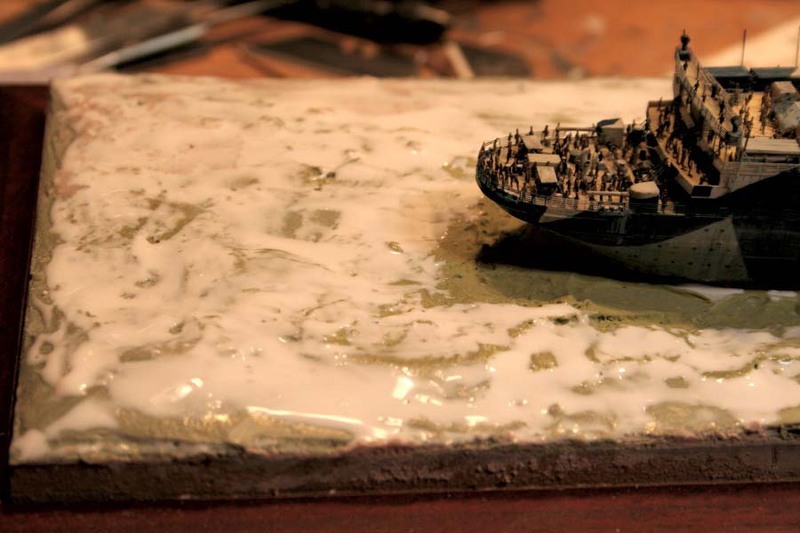 The sea was made of fast setting autobody filler - the hull was wrapped in clingfilm to permit removal from the setting filler to allow additional layers of sea - sculpting work to take place without risking damage to the ship. 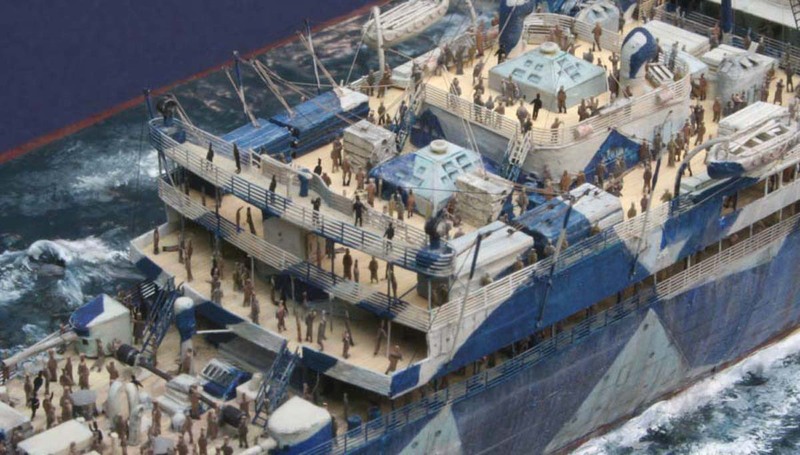 Mauretania was being depicted as a troop carrier - with a capacity of around 5000 soldiers I surmised that some degree of ‘hotbunking’ would have taken place—to this end I reckoned that placing around 2000 (!) 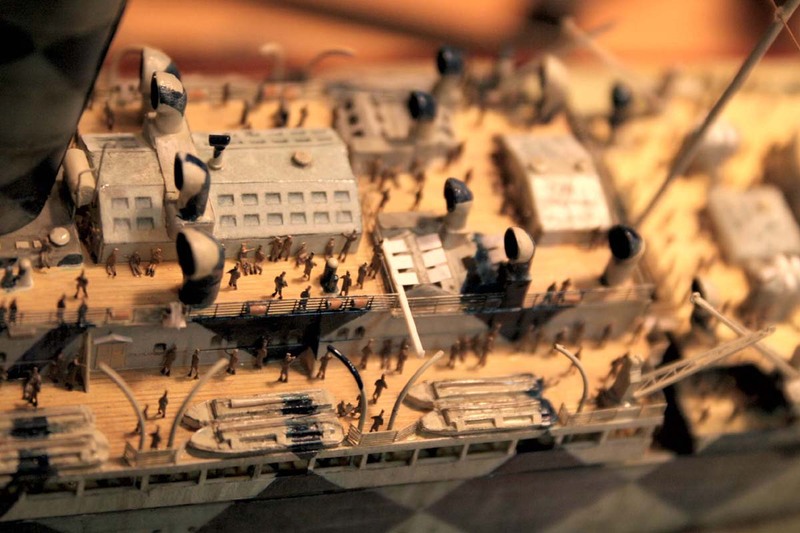 figures would give a suitable impression of the ship in this role. Painting, detailing and bending the arms and legs of figures in these epic quantities was an extraordinarily tedious task. I used the Eduard pre-painted Photoetched figures and repainted them all in khaki. 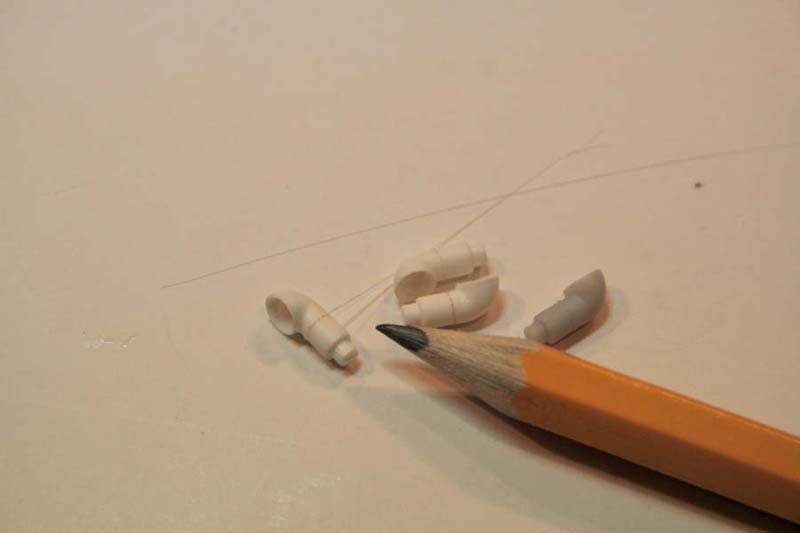 Including losses and unsuitable poses I used 7 frets… at approx 440 figures per sheet(!). These were placed sitting and sheltering from the wind, sleeping, smoking and generally milling around all over the entire ship. 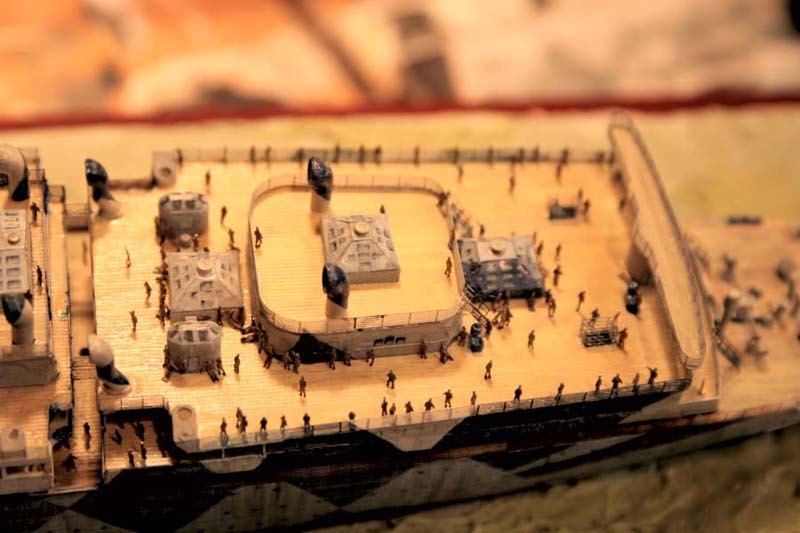 I also placed numerous cut down figures into the open galleries on the promenade decks. A smattering of 80 Navy clad RN crew added a bit of contrast. 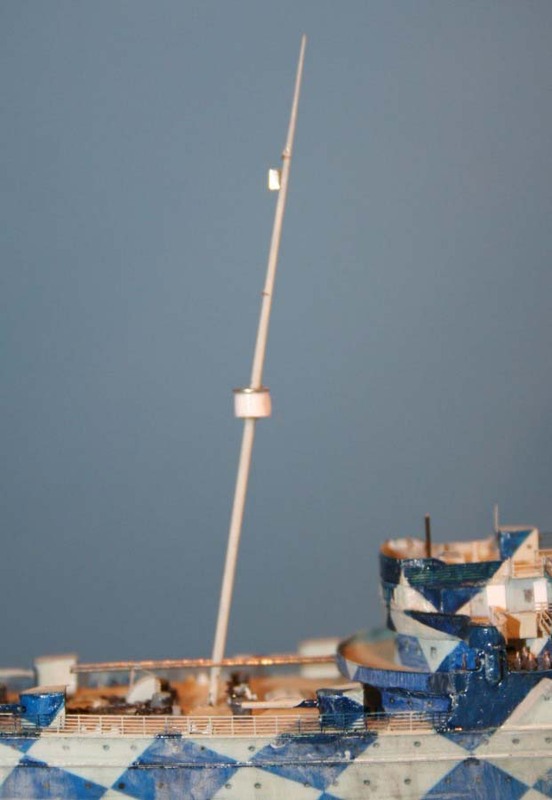 The masts were installed before too many fragile fitting’s were installed; these were made of tapered stainless steel welding rod-spun in a drill and tapered with a sanding disc by Steve Foulkes. 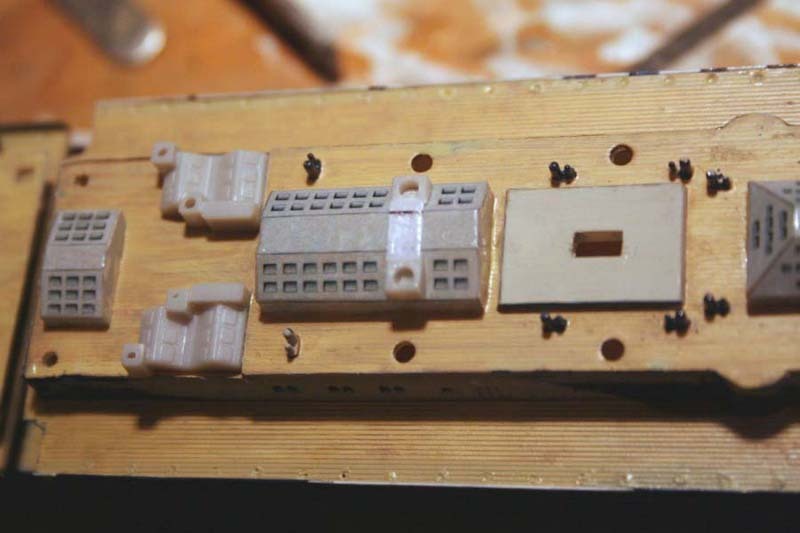 Being a hollow hull the masts had to extend to the baseboard to give rigidity; were I to do it again I would fill the areas in the mast-mounting areas with wooden blocks and autobodyfiller. In my instance however I had to get the masts mounted and installed. 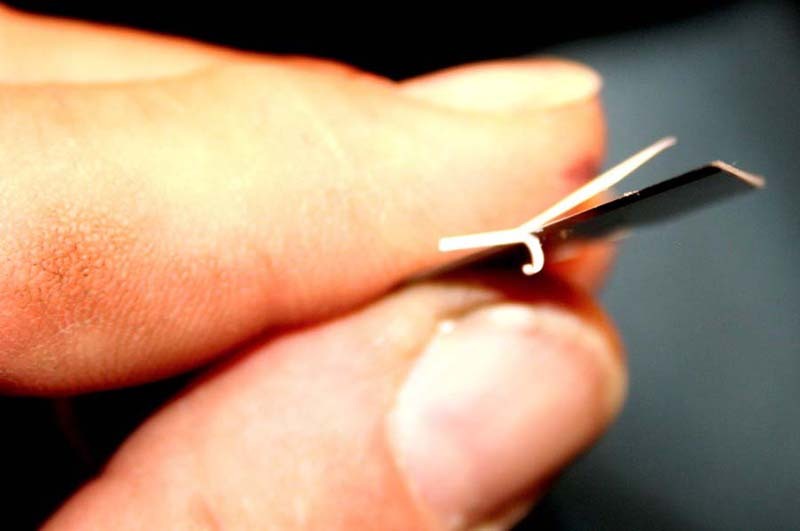 The end of a piece of similar diameter welding rod had and edge ground onto it so as to act in the manner of a drill bit. I carefully-using a cordless drill/screwdriver- drilled a hole at approximately the correct angle through the deck and into the baseboard. 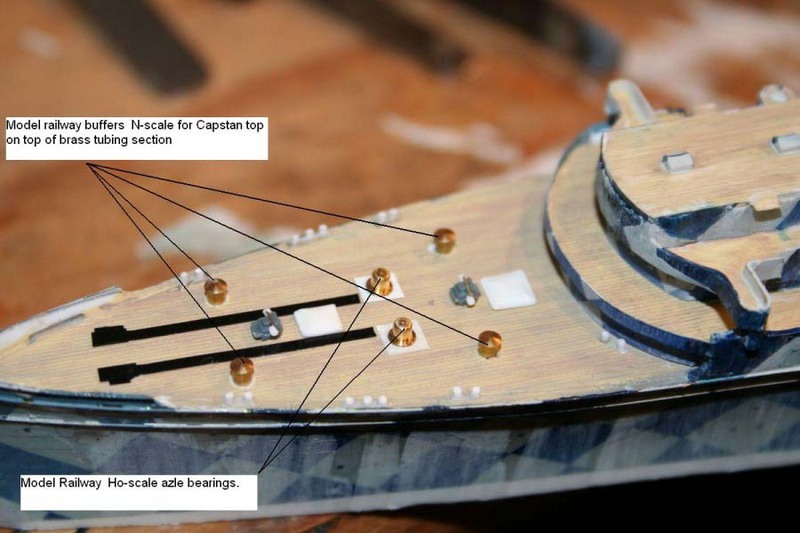 The end of the masts proper were heated over a candle-flame and using pliers were pushed through the deck into the baseboard-the heated end allowing adjustment in the baseboard as well at deck level. 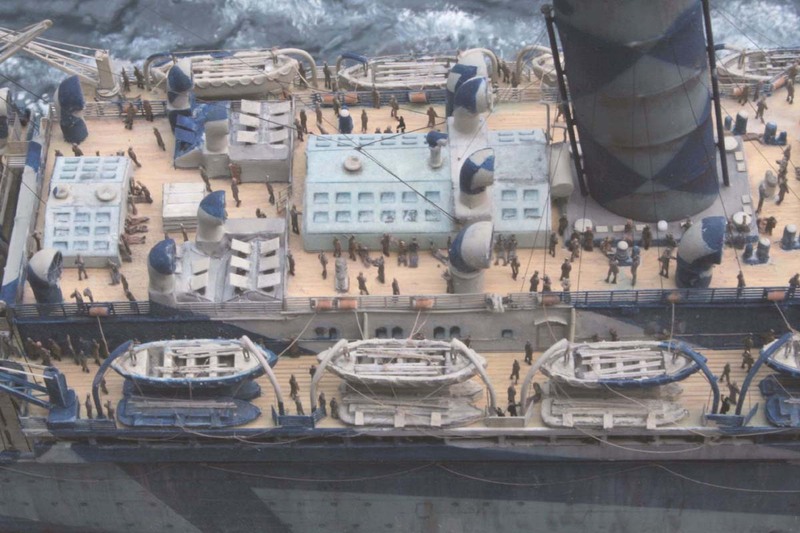 Lastly, considerable quantities of CA glue were run down the masts through the enlarged deck holes and the masts supported in place using card jigs combined with eyeballing. After the smoke had cleared (!) the deck was made good with some epoxy and lastly levelled off with white glue. 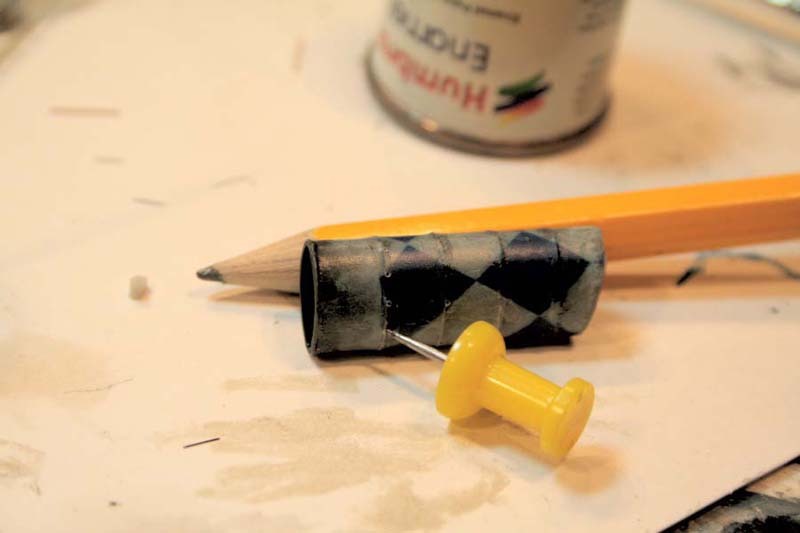 A little thought and planning ahead on my part would have saved a lot of time and nerves…. The cranes as supplied in the kit were about the right outline-but oversize and under-detailed. The GMM PE set supples nice latticework as well as suggestionsas how to make better cranes; in my view however the latticework whilst correct, gave the crane jib too heavy an appearance, study of photos show the overall look to be lighter-so I adopted artistic licence and used alternative singlesided PE girder from the spares box for a more ‘scale’ appearance. At about this time I realised I had omitted the boatwinches..- these needed a section of railing to be removed in situ…. 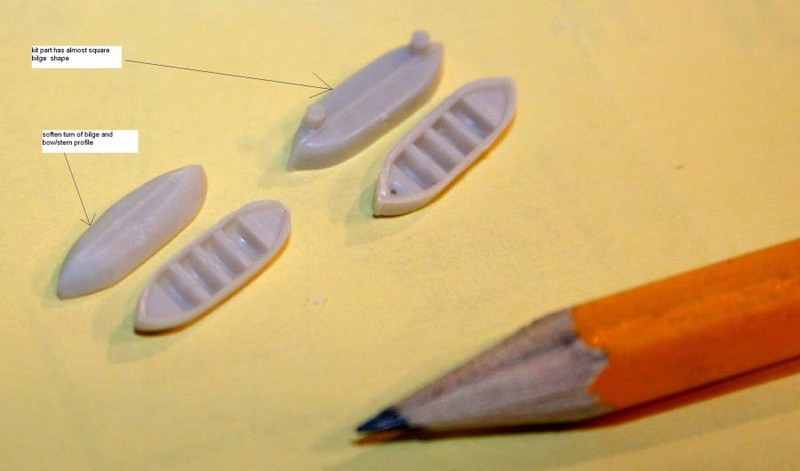 and the winches made of paper and styrene rod. Designed as an AMC with 12 x 6in guns, Mauretania was armed during the later part of WW1, although she only mounted 6 x 6 in guns. 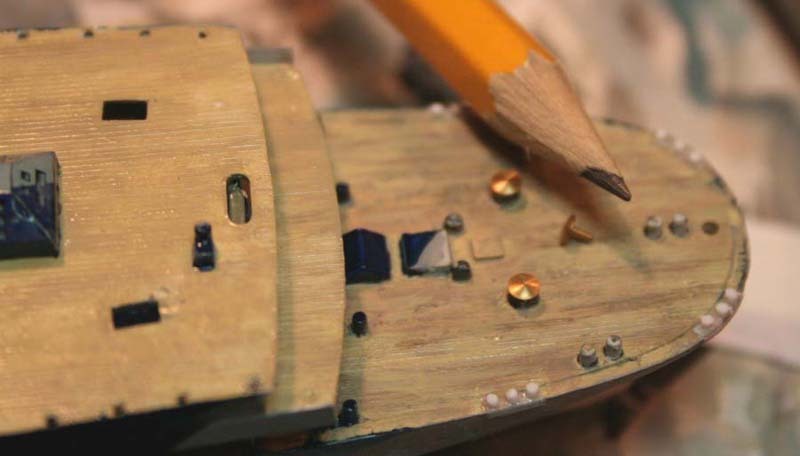 The turrets were adapted from the card kit parts, tapered and re-shaped and furnished with brass barrels. 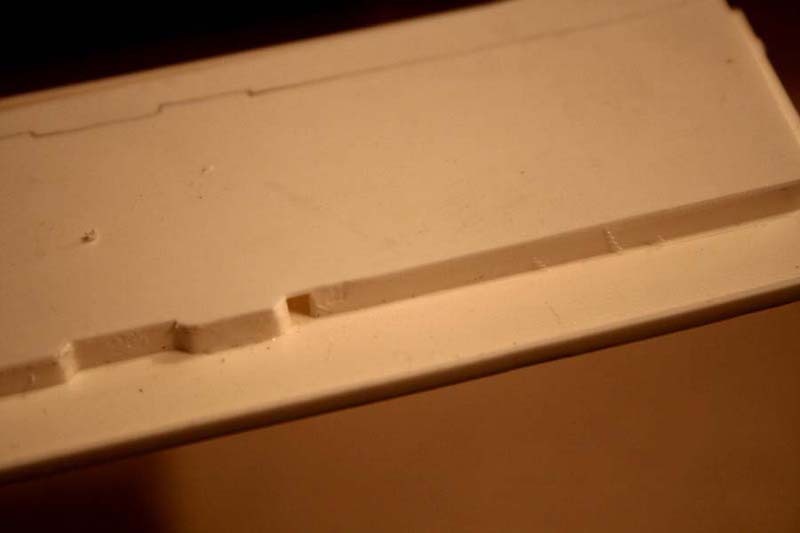 The aft docking bridge was remade using thin styrene sheet; the correct type braces added using brass PE strip. 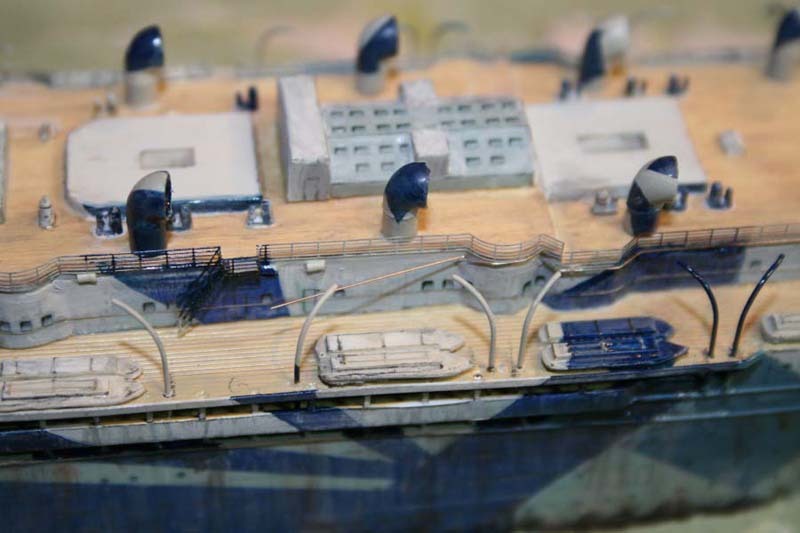 The searchlights and aft rangefinder were also installed at this time as well as the aft superstructure being plated in. 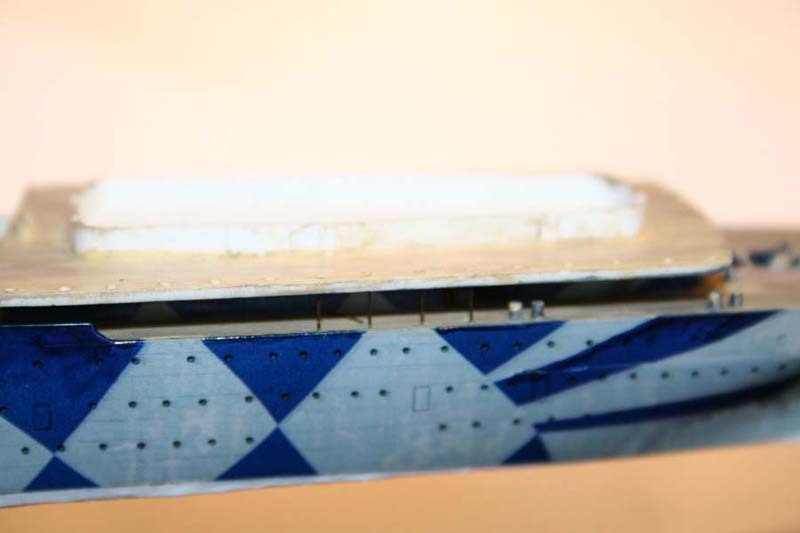 Photos showed the aft vent boxes to have open hatches with the vessel underway-their lids being cut from paper and infused with CA for rigidity and make them moisture-proof . 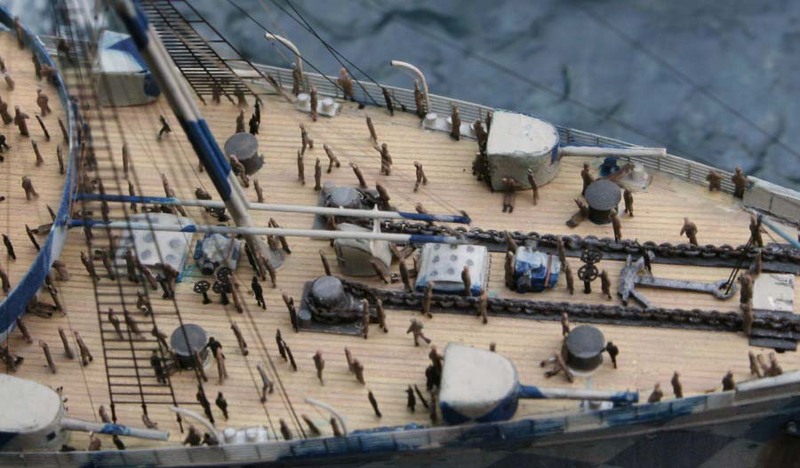 The foredeck had the steam valves made using brass rod spigots and cut down WEM PE ships wheels. The spare anchor was scratchbuilt. 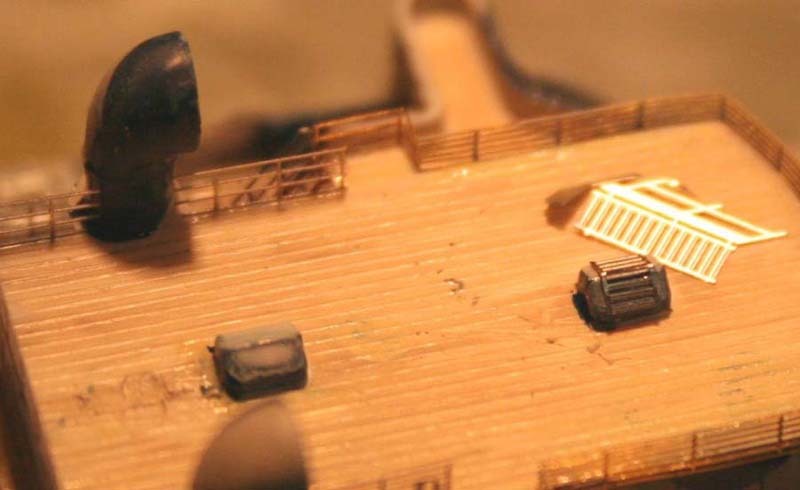 The companionway and the boomcrutch were also scratchbuilt along with the cargo hatch covers. 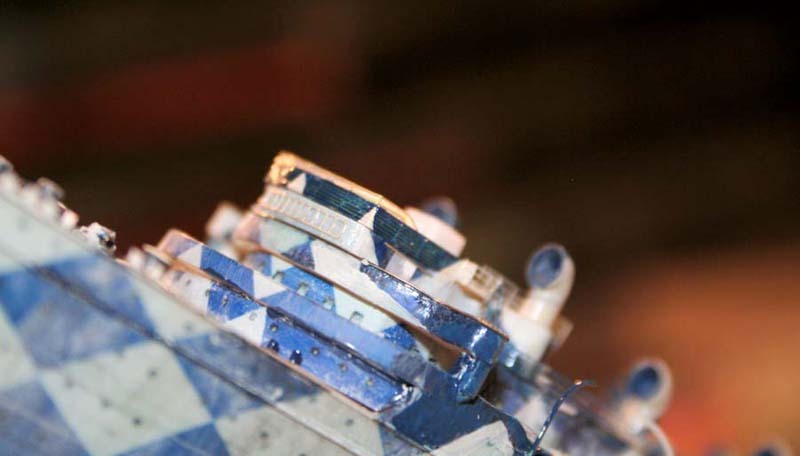 Faced with the next arduous task I was grateful for the early mounting of the ship to its base…. The installation of the numerous cowl vent braces using delicate stretched sprue was much eased by being able to rest the model on its stern end vertically on my knees whilst having the cowl mouths in good light. 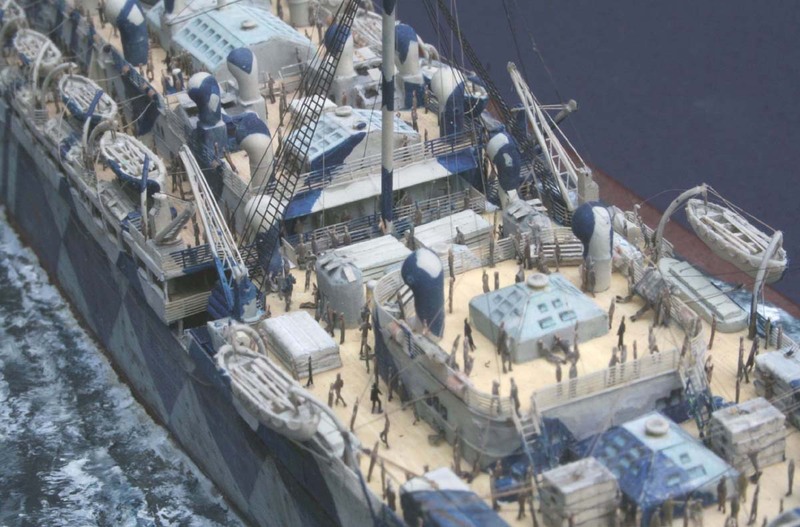 Mauretania in her trooper role carried, in addition to her extra collapsible and rigid boats, as far as I could ascertain from photos; no fewer than seven different types of liferafts, many in stacks, others loose on deck or propped up. These rafts were all made of strips of rod and square block Evergreen. 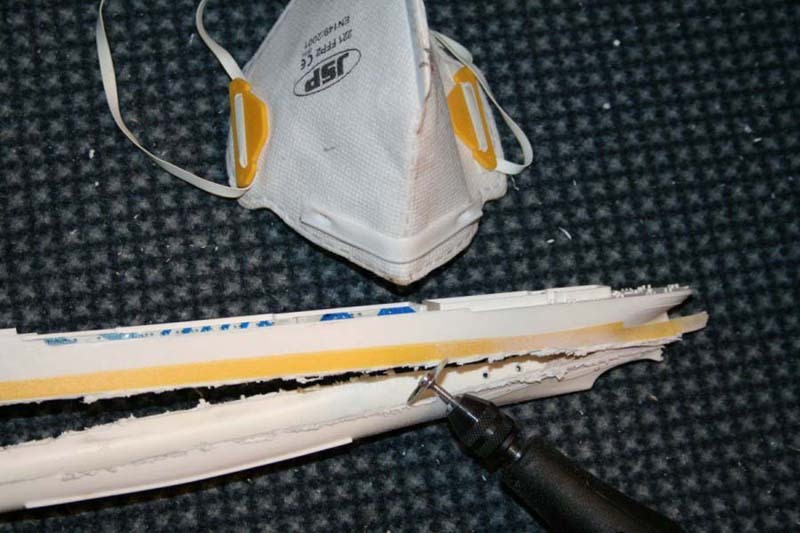 Thereafter the entire (brush-painted) Model was flatcoated-with some trepidation- as a problem with this process at this stage could undo months of work with one sweep of the aerosol. 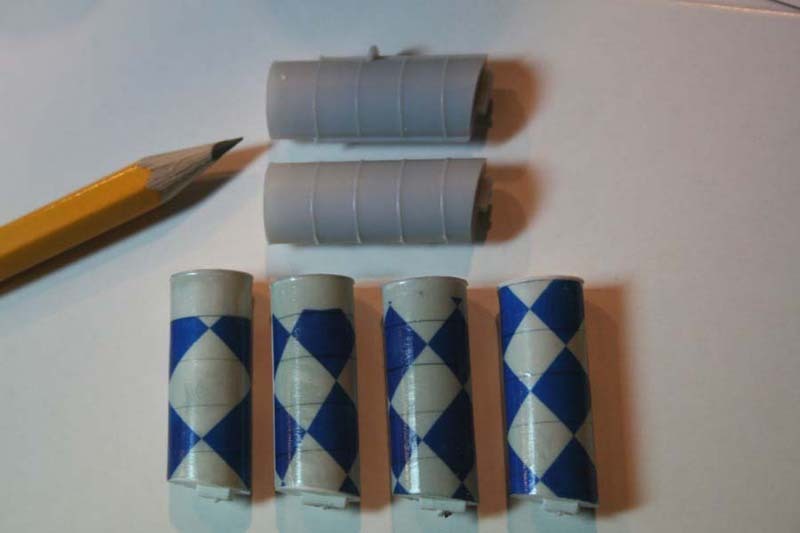 To ensure the best possible results I had 2 weeks previously placed the cans upside down in a warm place—this to ensure that the varnish would fully disengage from the bottom of the can and pass through the propellant. On ‘sprayday’, the can was placed on a warm radiator for 5 hours, after which the can was shaken vigorously for 10 minutes. 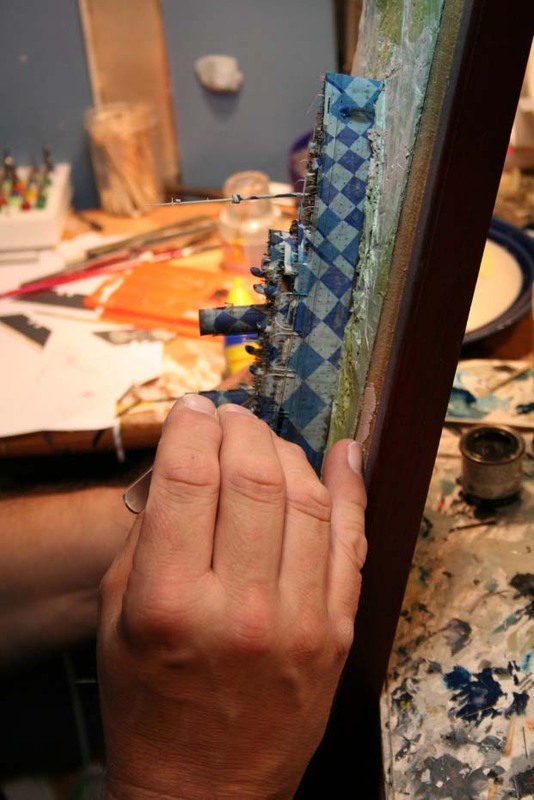 A test piece on an old model-that had previously been painted with all the same colours as the Liner model itself-- was sprayed to check for adverse paint reactions and true flatness. 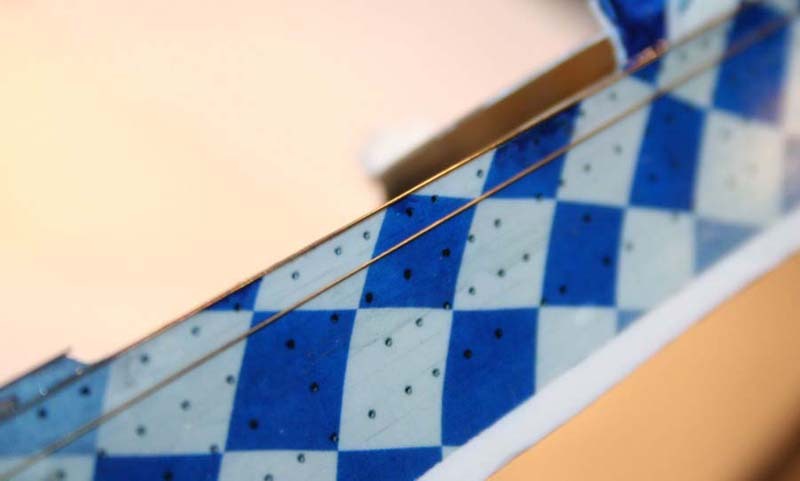 Once satisfied the shaking and heating were repeated and the model generously coated-this ensured in addition to giving a fully matt homogenised finish that the numerous figures would also reliably adhere to the decks! It was now time for rigging the ships boats with falls, and the jumble of life-lines criss-crossing the boats and collapsible’s. 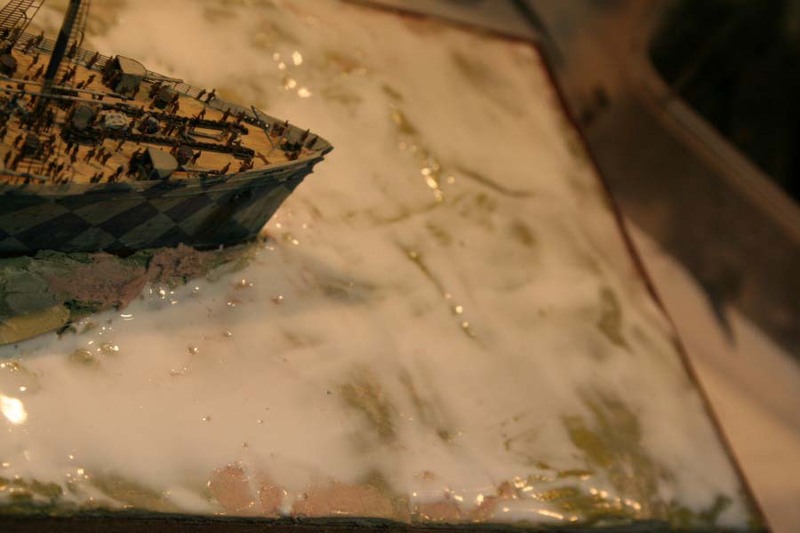 The lifeboats were attached to the davits with ‘stale’ white glue-it has an instant high grab-and was then given a light coating of CA afterwards. A careful sequence was worked out for the application of the large number of funnel stays. I left the vertical and fore-and-aft mast rigging until last. First the sea had to be given a glassier finish--I effected this using white glue spread over the coarse surface autobodyfiller; this also self-levelled across small voids. 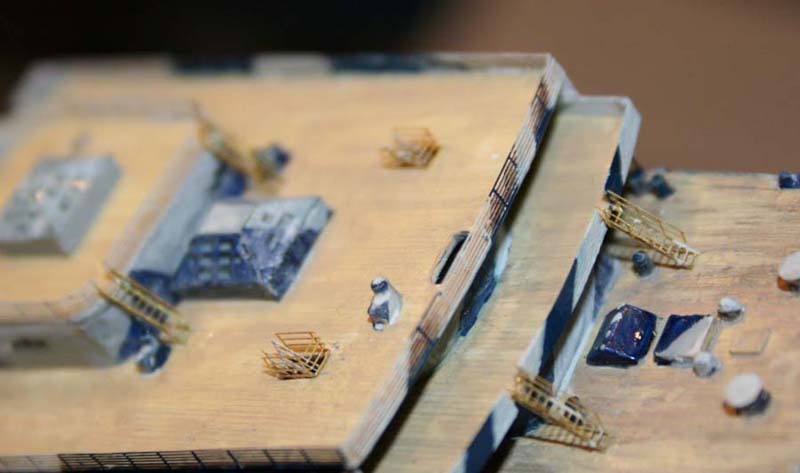 The model was overall a straightforward if lengthy build. 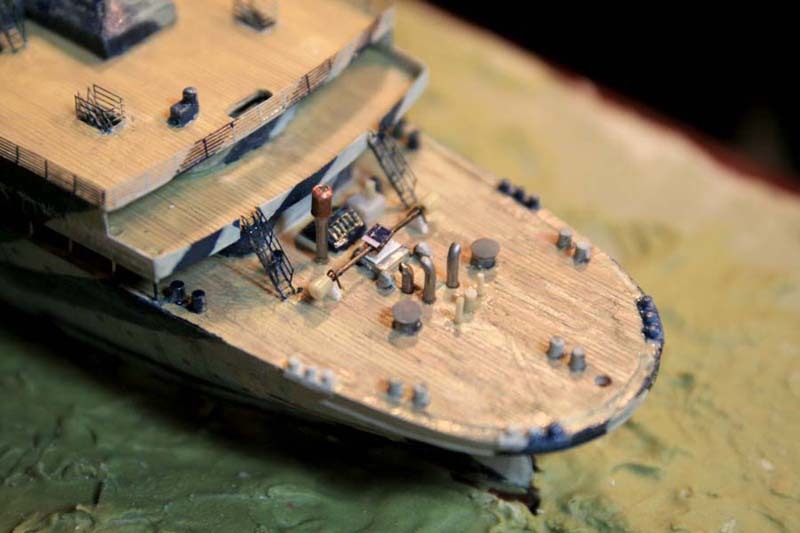 The 43 year vintage of the kit has weathered the intervening decades reasonably well, it is based on original shipbuilders plans and thereby gives a reasonable stepping stone to a satisfactory model of this wonderful ship. The kit is currently still available for under £ 10.00. Inevitably enthusiasm for the ship overtook me… and many interesting images, postcards and memorabilia were bought from antique fairs as well as on-line auctions…. 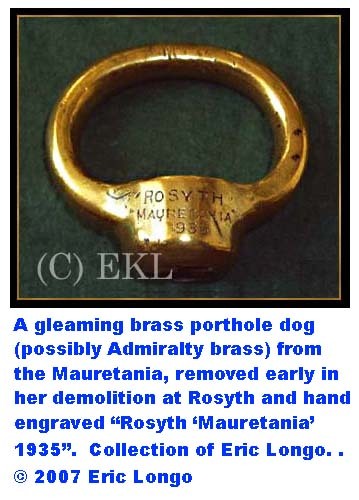 A very evocative and haunting part of the project for me was this recording of her steam whistle…courtesy of Peter Newall author of Mauretania: Triumph & Resurrection found on Warsash Nautical Books & Mainmast Books. They have an impressive line of Nautical themed books covering just about everything ship related. 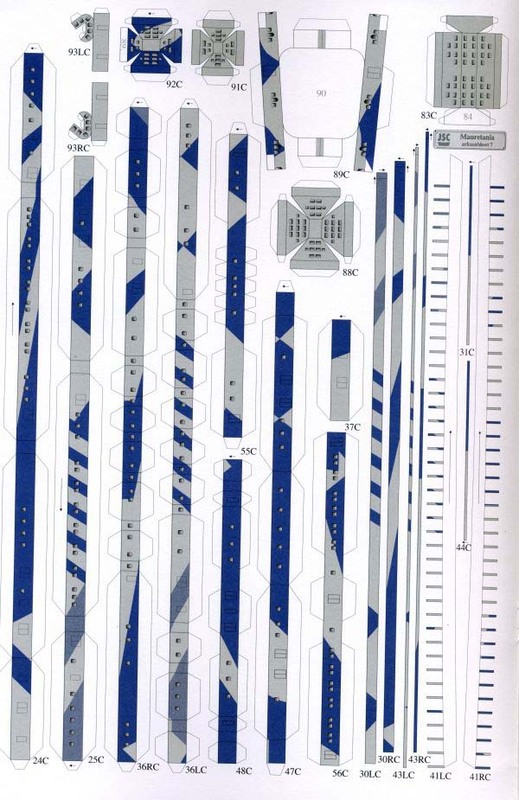 John Haynes-who generously supplied me with his entire ‘Mauretania model folder’- containing a complete photo survey of the 1/48 builders model, Swan-Hunter plans and the results of his detailed research and analysis of the upper deck fittings. Eric Longo, who was great mentor for this project, researched aspects of her history and generously supplied me with large format scans of many rare photographs from his private collections which greatly helped with much detail work.